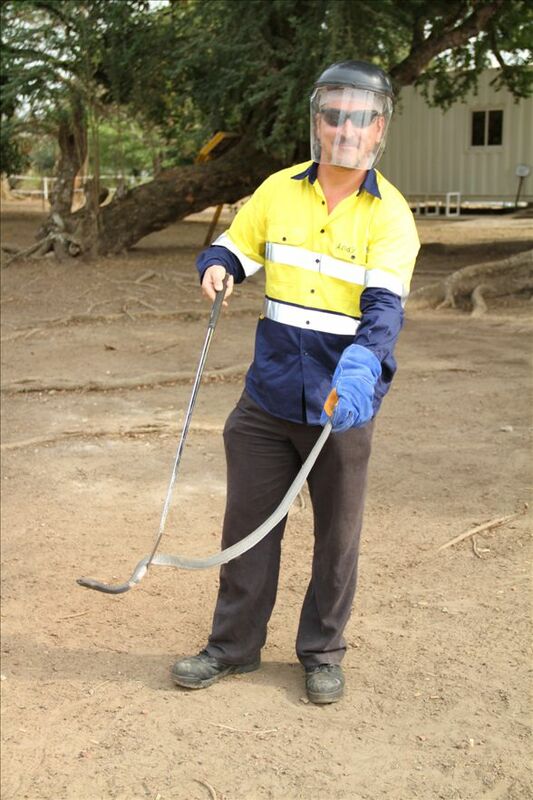 Huckbody Environmental and its Director Andy Huckbody has been involved in numerous quarry and mining projects for many years, including feasibility studies through to full development into operations. Following the extensive positive feedback and success of the Pipeline Practice Guide, which was developed to inform and help young environmental professionals and some regulators from economically-developing countries, this section presents information from some of the projects Andy has been involved in. There is a wealth of guidance and information available online covering mining practice, such as the International Council of Mining and Metals, where members require a commitment to the ICMM 10 Principles. These serve as a best-practice framework for sustainable development in the mining and metals industry. Like the Pipeline Guide, this is far from and not intended as a definitive guide, but presents select information (with a strong emphasis on Junior Mining companies) based on real site experience, which young professionals may find useful whilst developing their capabilities. This section presents information, based on real experience by the author, of the general stages involved in large scale mining in Africa, along with an insight into some of the challenges and consequences, predominantly associated with Junior Mining companies. Many Junior Mining companies face a number of challenges over and above large, well established miners, such as limited finances and cash flow; increased pressure to prove the mineral resource and get into production ASAP and so on. This can result in construction works occurring prior to all the requisite studies being completed, and when combined with poorly developed corporate policies (eg HSE), can lead to significant difficulty in achieving good environmental and social practice. 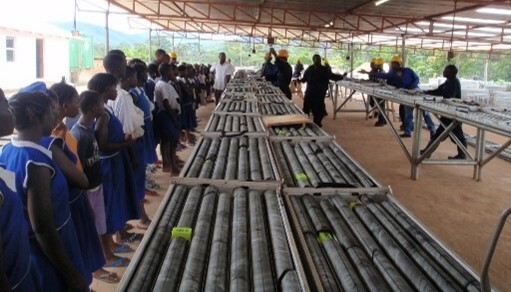 Many Junior miners operate in economically-developing countries, where infrastructure, is often very limited and previous mining experience by regulators is low. 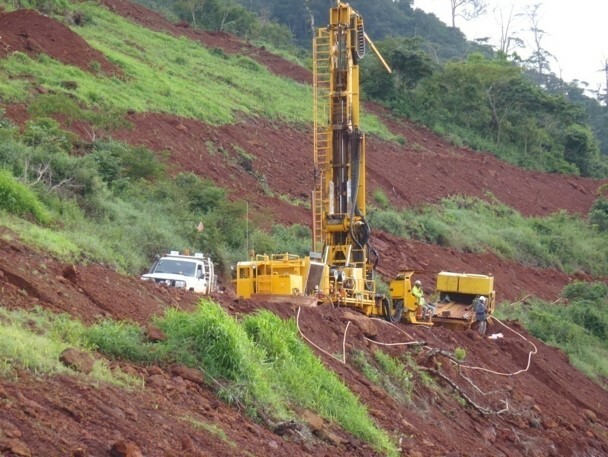 The development of mines in remote locations which are poorly or not served at all by infrastructure or other services, further burdens the mining company, as expectations from Government, stakeholders and nearby communities can be extremely high and poses risks during project development. This section starts with an overview of ESIA, then generic information on the key stages and finishes with some aspects of Environmental and Social Impacts and Management. The material is drawn from a number of mining projects and commences with brief data from some of the key projects that the author has been involved in. 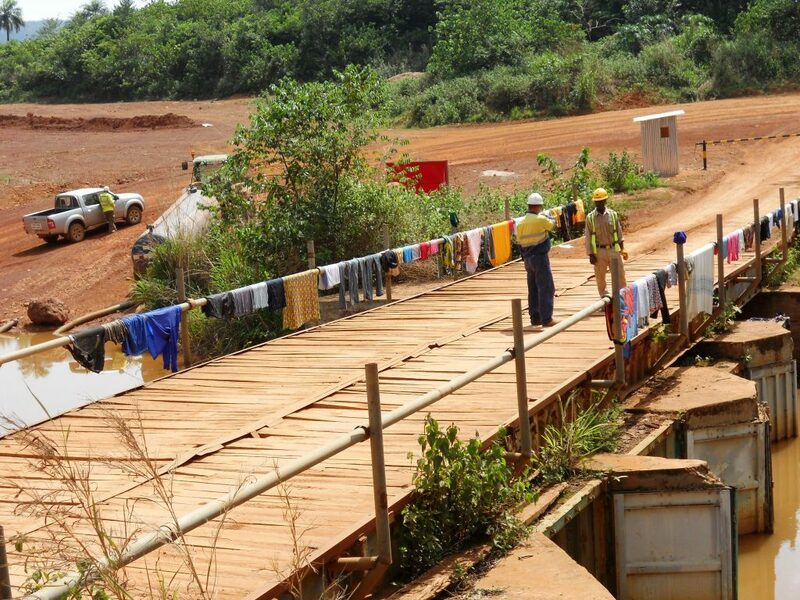 The company held several interests and a number of mining exploration concessions, with the flagship project being the Tonkolili iron ore deposit and additional associated >200 km rail and port infrastructure in Sierra Leone. 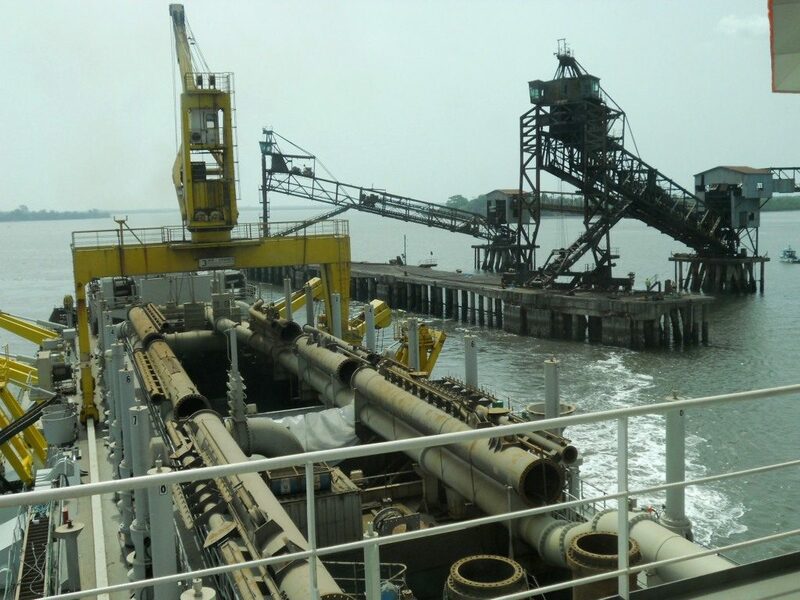 Tonkolili had a JORC compliant ore resource of 12.8Bnt which extends over a combined strike length of 30km, and includes a substantial Direct Shipping Ore and Saprolite mineral resource overlying a very large magnetite orebody. 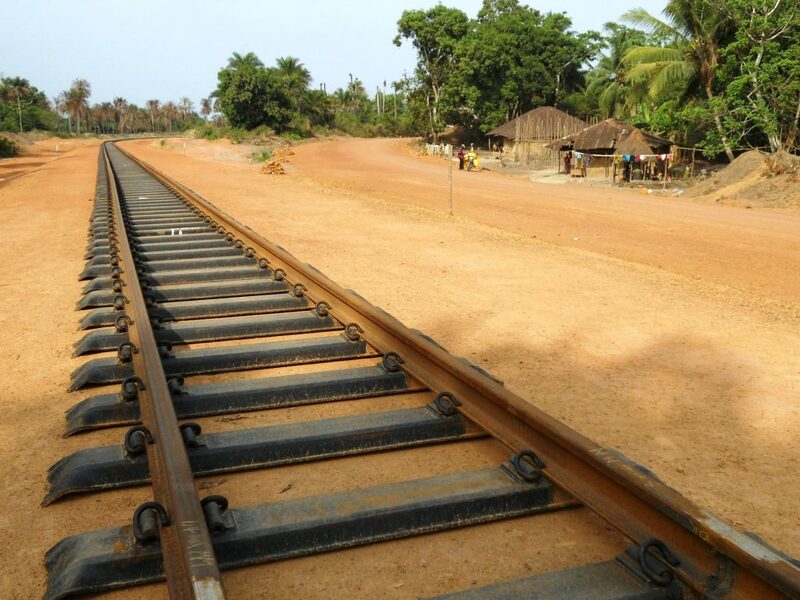 In a relatively short length of time the Tonkolili project roughly doubled the GDP of Sierra Leone, as it went from a post-civil war country with virtually no facilities to one hosting a major international development, with associated rail, road and port infrastructure. 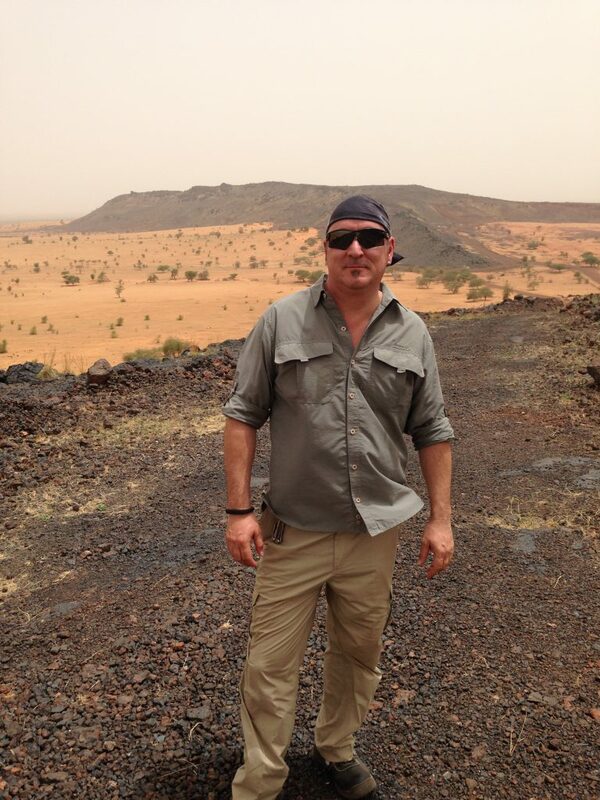 Following initial involvement as ESHIA Project Manager, Andy was invited to join African Minerals as their General Manager for Environment and had a 3 year involvement, from ESHIA, through construction and well into Operations, before leaving due to weak management brought into the business. 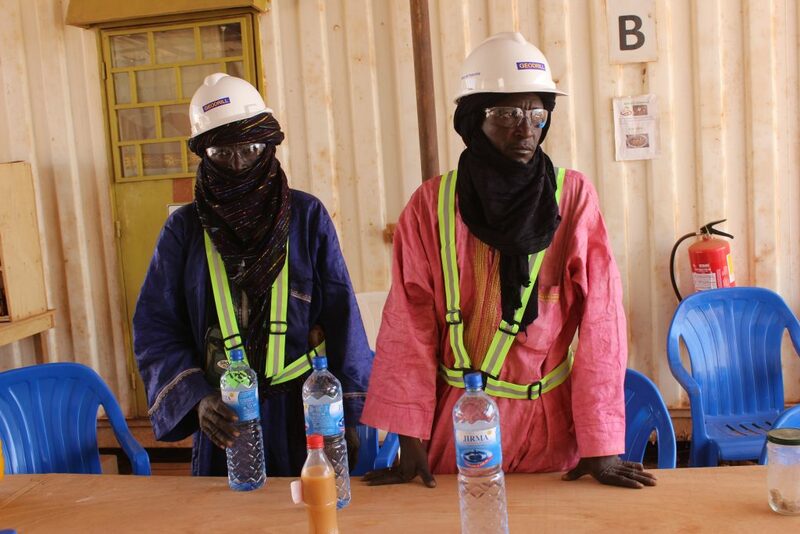 The company and its associated enterprises held a number of mining (Manganese, Iron Ore, Uranium) exploration concessions in several countries including Burkina Faso, Cote D’Ivoire and Niger, with the flagship project being the Tambao project. 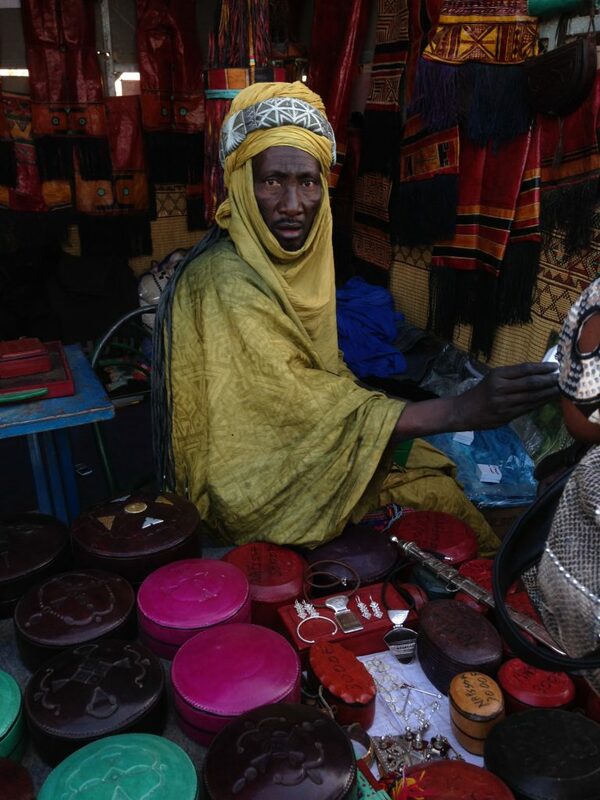 Tambao is a Manganese deposit in the Oudalan Province of the Sahel Region, the far north-eastern area of Burkina Faso. 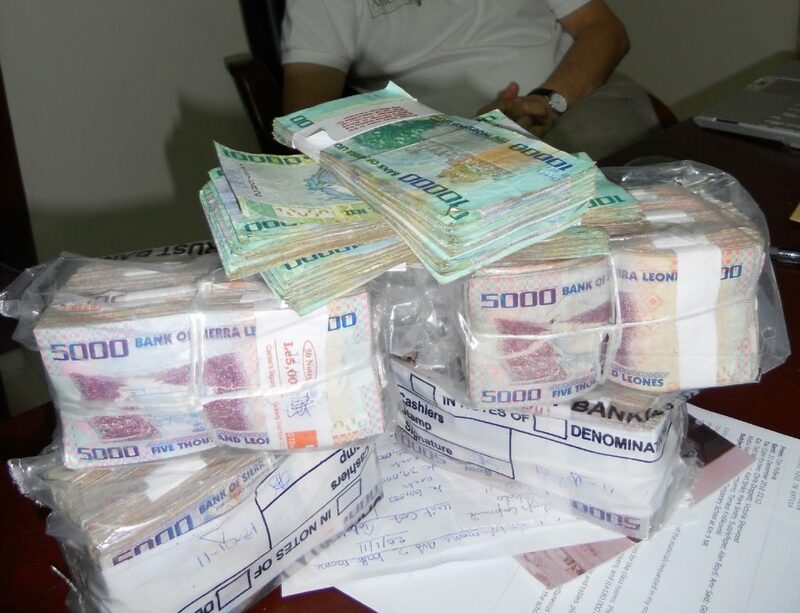 Tambao has been estimated to be one of the largest deposits in the region and its development, a major priority of the Burkinabe Government. It was of such significance that over 40 years ago the Government commenced construction of a railway extension from the existing network in an attempt to reach it; only getting as far as around Kaya. The project has been on and off since the 1990s. 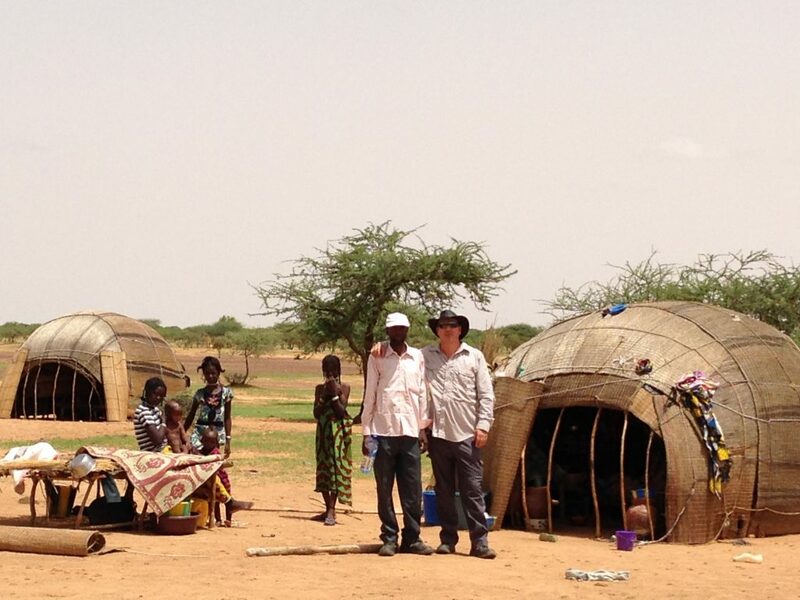 Barely served by roads or other infrastructure, the Tambao reserves are some 210 kilometres (130 miles) north of Kaya and 350 kilometres (220 miles) northeast of the capital Ouagadougou. 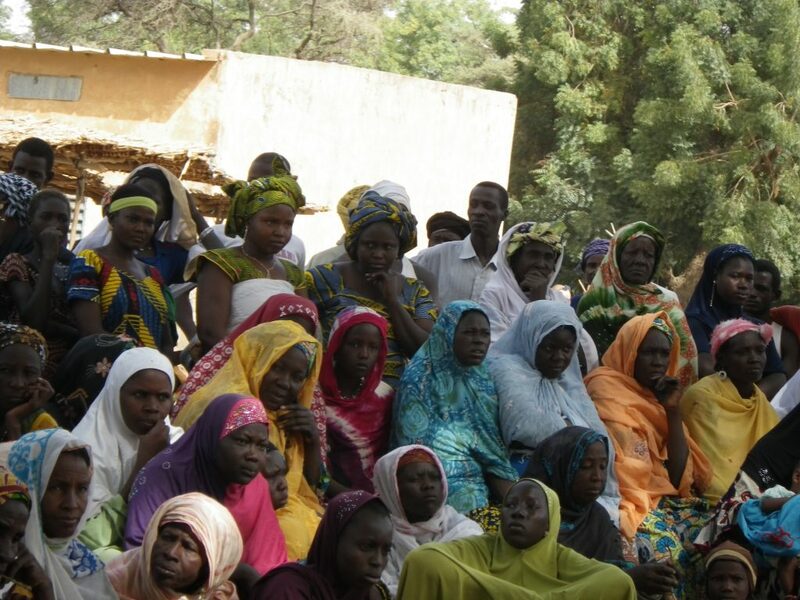 The region is dominated by a fascinating transhumance history, with the people regularly moving between Burkina Faso, Mali and Niger and more recently is well known for its undercurrent of Islamic extremism, with kidnappings and attacks, including targeting the Tambao project. 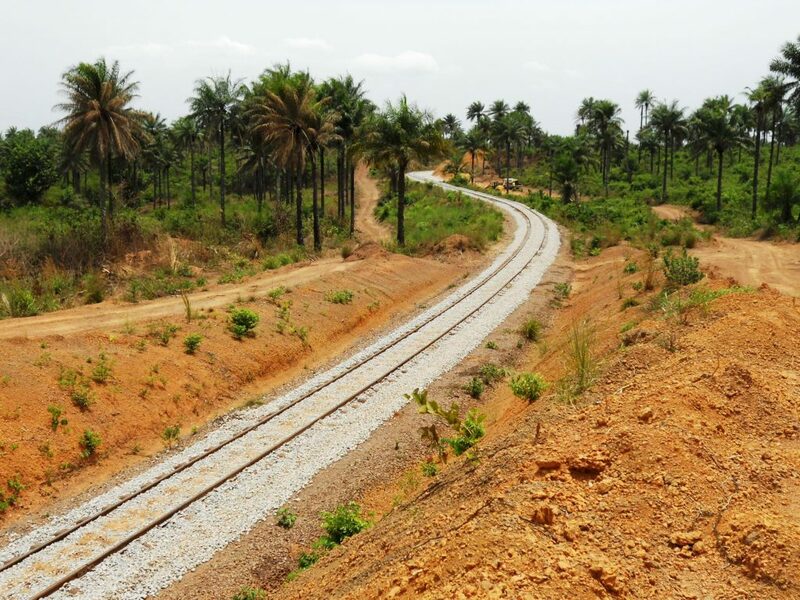 The Tambao project potentially involved development of the mine site, refurbishment of roads, extension of the railway to Tambao, refurbishment of the existing railway down to Abidjan and development of a port in Abidjan (Cote D’Ivoire). Andy was General Manager for Environment for PAM for around 1.5 years and managed the ESIA process, Resettlement Planning and Implementation, Community Development and Investment, CSR, Construction issues and into Operations, before leaving due to weak and inexperienced management brought into the business. 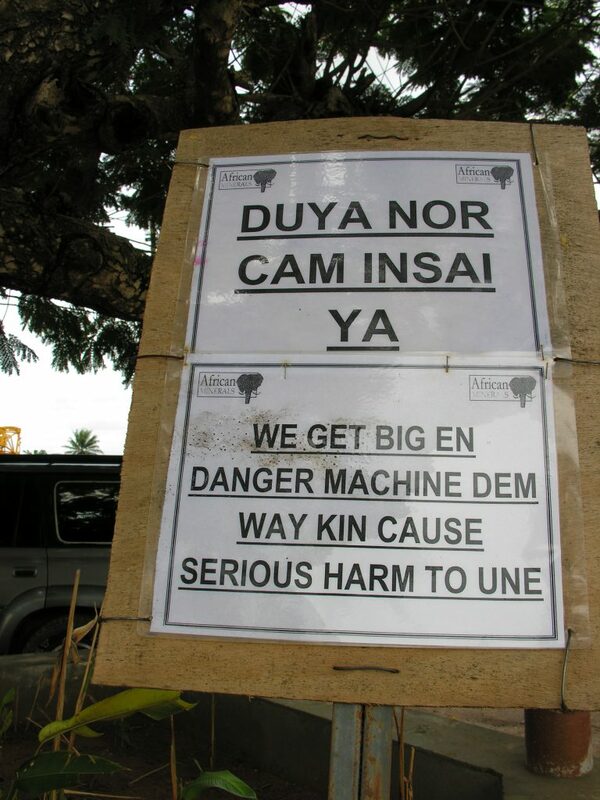 As stated previously, this information does in no way attempt to present a comprehensive overview of all the sequences involved in a mining project in Africa; instead it allows readers an insight into various aspects and issues that may be helpful in their professional development, such as when scoping potential impacts and evaluating their environmental and social effects and their subsequent management. An observation over many years has been that consulting practices are engaged to undertake ESIAs and then once approval is obtained the commission is terminated, often resulting in many E&S practitioners in such companies seldom getting to see what construction, commissioning and operations are actually like. This is where one sees the significant benefit of personnel who have both undertaken ESIAs and been on site throughout the licensing, construction and operations phases. Since the introduction of Environmental Assessment in the late 1980’s, the studies have morphed to include various aspects and the acronyms have changed accordingly. ESHIA is an Environmental, Social and Health Impact Assessment and for the remainder of this section the term ESIA (Environmental and Social Impact Assessment) will be used. 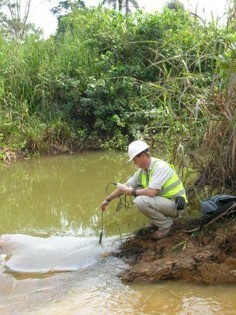 This is typically a comprehensive phase in mining projects, given their large scale and potential range of effects; however, due to the large fluctuations in bulk mineral prices worldwide and the investor climate in which junior mining companies operate, there is often pressure to complete the Environmental and Social Impact Assessments as quickly as possible, which can often be less than ideal. 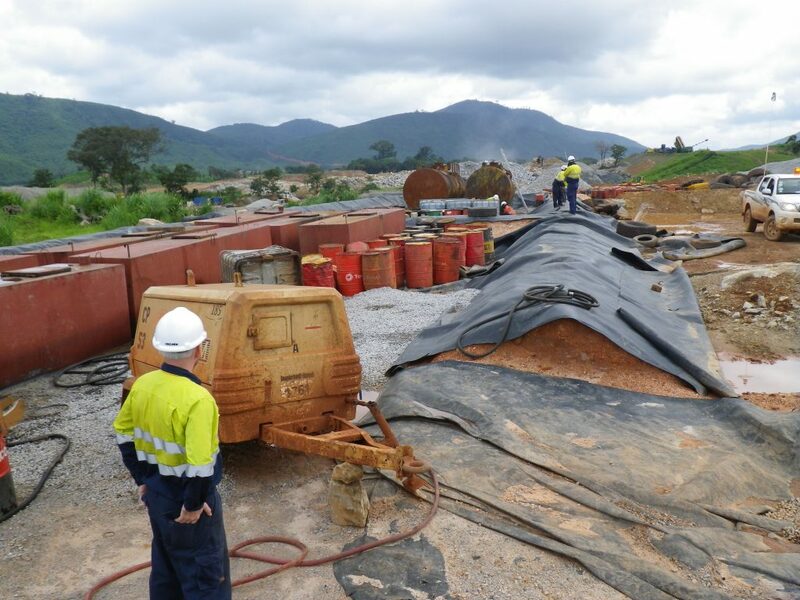 Large scale mining of bulk minerals does have a number of aspects that are different from many ‘fixed site’ projects, as they often involve construction of new infrastructure such as roads, railways and ports to export the minerals, very often to China as the destination market. It is therefore important to fully evaluate all these aspects. Ironically, given the large potential impacts, these aspects sometimes cannot be evaluated in a comprehensive manner, as ESHIAs/EIA/ESIA are often required by Government Regulators (eg Ministry of Environment, Ministry of Mines) as part of licensing the mineral deposit; without which investors are reluctant to participate. 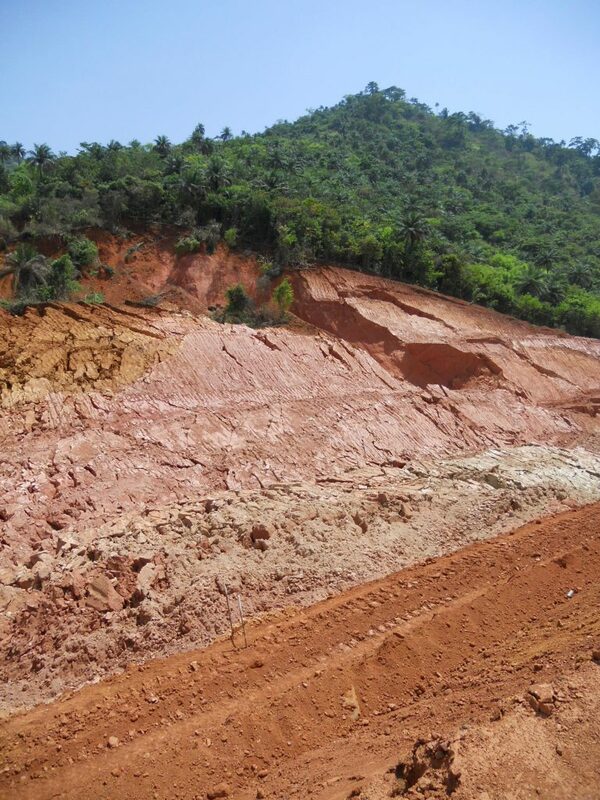 This peculiarity can exist as investors also require to know the full mineral resource of the deposit, which can usually only be obtained following extensive investigations via drilling, trenching and various mineral assays and mine modelling. Thus one can often see large scale exploration programmes underway, without a fully informed ESIA being developed and publicly disclosed. 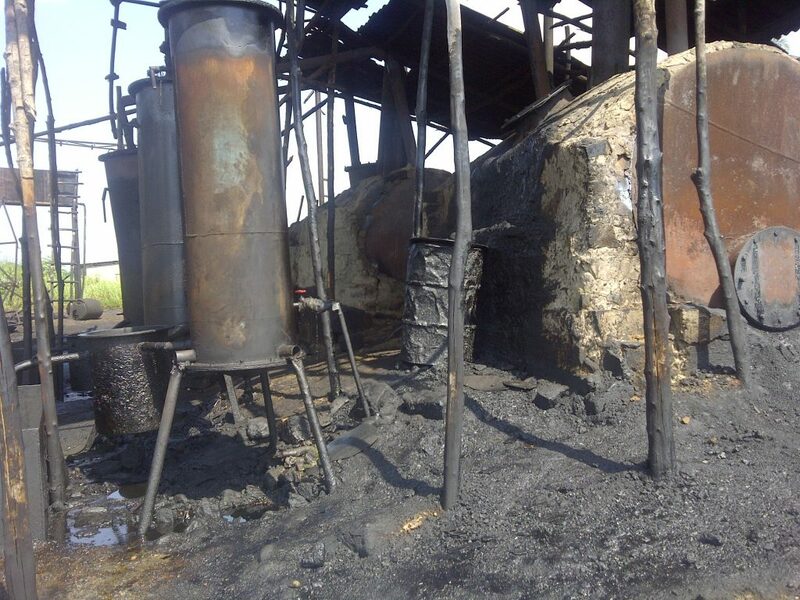 Other shortcomings can be associated with the company not knowing the exact infrastructure required to exploit the target mineral (eg wet or dry crushing or the use of chemical processing). These factors can also influence the ancillary infrastructure that is required, meaning that in some projects the ESIA has no option but to use caveats or options in the assessment. This can lead to conflict whereby the regulator requires full and complete assessments, but the company is not in a position to provide them, due to unknown project components. 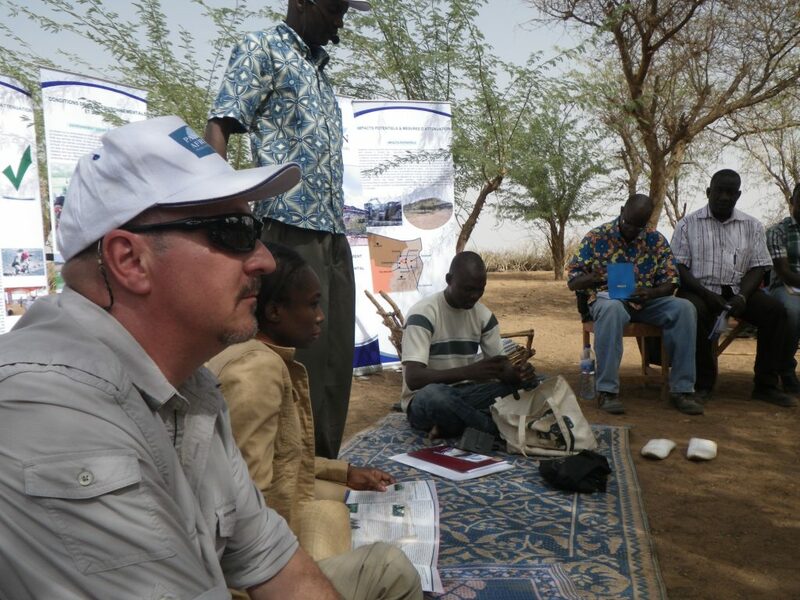 Often, the more comprehensive, final ESIA and Resettlement Action Plan (RAP) is prepared following completion of the exploration phase; but this can result in discrepancies, incomplete cumulative effects’ assessments and precedents set during exploration (eg land compensation rates, resettlement issues); that become problematic during full scale development. A further negative consequence that can arise in junior miners is the often quite separate exploration phase working for some time before the environmental personnel come on board to conduct studies. This phase is necessary to establish a mineral resource, without which there would be no investors or project. This can result in several legacy issues, such as compensation arrangements and poor site practice, that require rectifying before full construction. Larger mining companies tend to have corporate policies in place that cover the full project cycle from exploration onwards, whereas junior/new companies often lack such arrangements. Many of the large-scale Mining Companies are aware of such issues and seek to avoid the pitfalls, however they have much more financial capacity than junior mining companies, who operate far more ‘dynamically’. A mining project can only commence with knowledge of the extent and value of the mineral ore deposit, to allow commercial viability to be established. 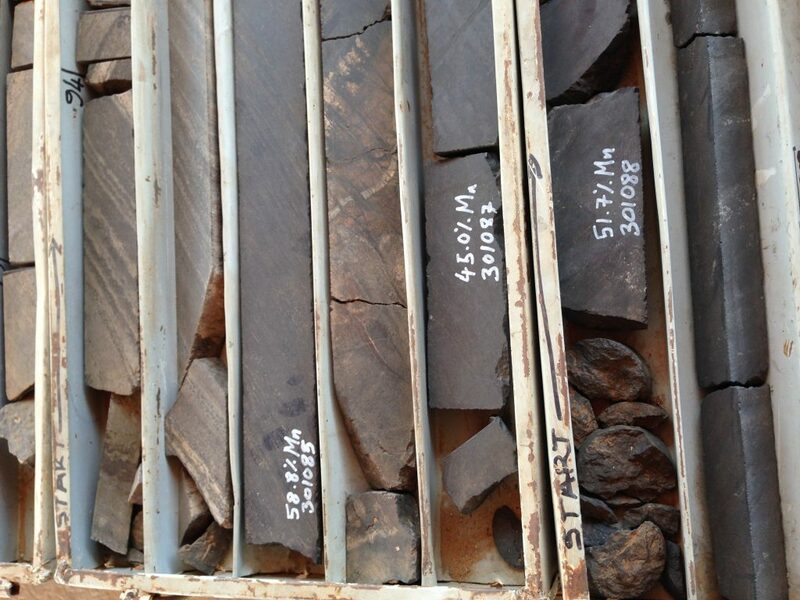 Information about the location and value of the mineral ore deposit is obtained during the exploration phase. 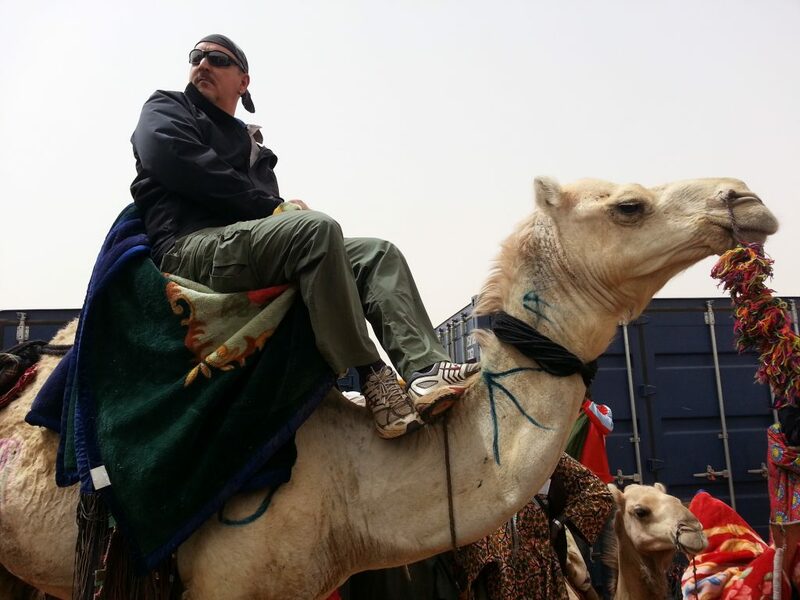 This phase includes surveys, field studies, and drilling test boreholes and other exploratory excavations. 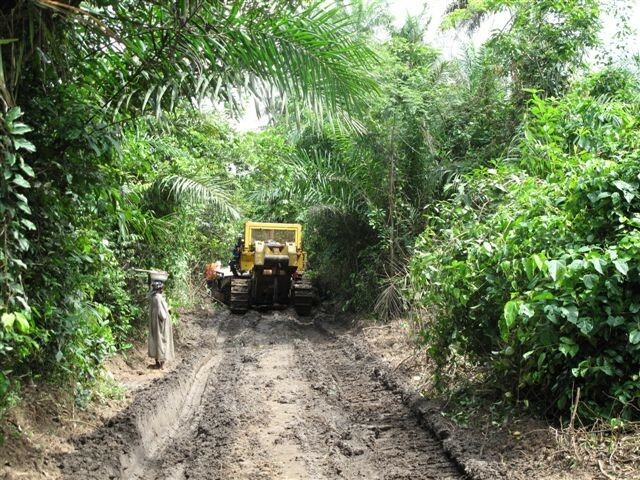 The exploratory phase may involve clearing of wide areas of vegetation (typically in lines), to allow the entry of heavy vehicles mounted with drilling rigs. Many countries require a separate EIA for the exploratory phase of a mining project because the impacts of this phase can be profound and because further phases of mining may not ensue if exploration fails to find sufficient quantities of high-grade mineral ore deposits. If the mineral ore exploration phase proves that there is a large enough mineral ore deposit, of sufficient grade, then the project proponent may begin to plan for the development of the mine. This phase of the mining project has several distinct components and may include infrastructure development, camp establishment, power, water, resettlement and other community development initiatives and requirements. 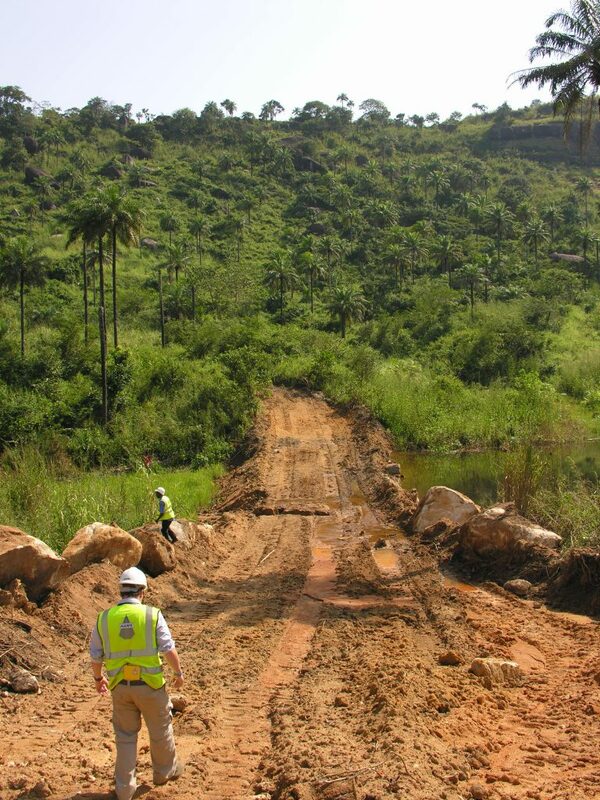 One of the challenges for environmental staff is to keep up to date with the often fast changing design and activities across an exploration phase and keep pushing for compliance to legal and regulatory license standards, often in an environment where completion of drilling works and proving of the JORC compliant resource, to attain project financing is the main objective. For bulk minerals, large scale mining is the norm, based predominantly on surface or open pit mining methods. The definition of a open pit mine is “an excavation or cut made at the surface of the ground for the purpose of extracting ore and which is open to the surface for the duration of the mine’s life.” To expose and mine the ore, it is generally necessary to excavate and relocate large quantities of waste rock. The main objective in any commercial mining operation is the exploitation of the mineral deposit at the lowest possible cost with a view of maximizing profits. The selection of physical design parameters and the scheduling of the ore and waste extraction programme are complex engineering decisions of enormous economic significance. The planning of an open pit mine is, therefore, basically an exercise in economics, constrained by certain geological and mining engineering aspects. A bench may be defined as a ledge that forms a single level of operation above which mineral or waste materials are mined back to a bench face. The mineral or waste is removed in successive layers, each of which is a bench. Several benches may be in operation simultaneously in different parts of, and at different elevations in the open pit mine. As mentioned earlier, even basic mine planning can be affected by the results of the exploration phase, particularly the metallurgical aspects, which involve working out how to extract the target mineral in the most cost effective and efficient manner. 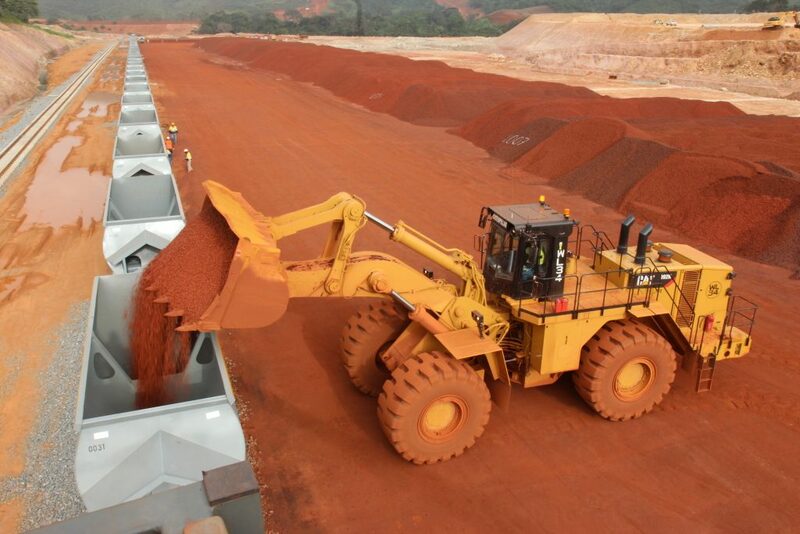 For example, iron ore may be found in a huge deposit, but precisely how the Fe (iron) molecules are contained in the deposit will affect greatly the method of process mining, dictating whether dry or wet crushing is required, and to what particle size, and the degree of beneficiation, such as washing. 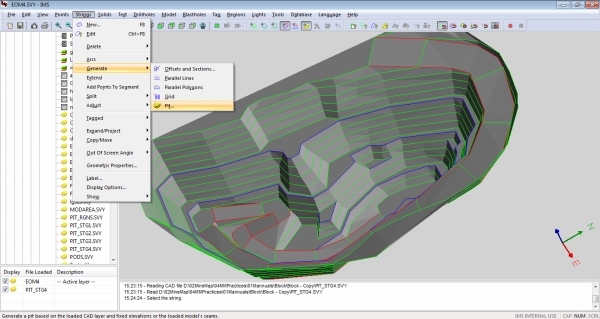 This in turn dictates the nature and layout of mining equipment and processes required. Open pit mines can be used in coal mining, and they are used extensively in “hard rock” mining for ores such as metal ores, copper, gold, iron, aluminium, and many minerals. In an open pit coal mine, the pit bottom would be the bottom mined coal seam elevation, since it is usually feasible to extract multiple seams when surface mining coal. In a hard rock mine, the bottom of the pit would be the lowest level (elevation) that mining would be conducted on the ore being mined; often with economic factors dictating the bottom depth, since the cost of bringing the ore to the surface is a determining factor for cost-benefit. Planning must account for both environmental protection, beginning as early as the initial exploration, and for reinstatement. It is critical that planning alleviate or mitigate potential impacts of mining for two key reasons: (i) the cost of environmental protection is minimized by incorporating it into the initial design, rather than performing remedial measures to compensate for design deficiencies, and (ii) negative publicity or poor public relations may have severe economic consequences. From the start of the planning process, adequate consideration must be given to regulatory affairs. The cost of compliance may be significantly reduced when taken into account in the design or planning process, in a proactive manner, rather than being addressed on an ad hoc basis as problems develop or enforcement actions occur. From the beginning of the mine design planning stage, data gathering and permitting, environmental considerations are important, although benefits from a strictly economic sense may be intangible. From exploration, where core holes must be sealed and the site reclaimed, through plan development, the impacts on the environment must be considered. These impacts include aesthetics, noise, air quality (dust and pollutants), vibration, water discharge and runoff, subsidence, and process wastes; sources include the underground and surface mine infrastructure, mineral processing plant, access or haul roads, remote facilities, etc. If mining will cause quality deterioration of either surface water or groundwater, remedial and treatment measures must be developed to meet discharge standards. The mine plan must include all the technical measures necessary to handle all the environmental problems from initial data gathering to the mine closure and reclamation of the disturbed surface area. Reclamation plans include many of the following concerns: drainage control, preservation of top soil, segregation of waste material, erosion and sediment control, solid waste disposal, control of fugitive dust, regrading, and restoration of waste and mine areas. The plan must also consider the effects of mine subsidence, vibration (induced by mining, processing, transport, or subsidence), and impact on surface water and groundwater. 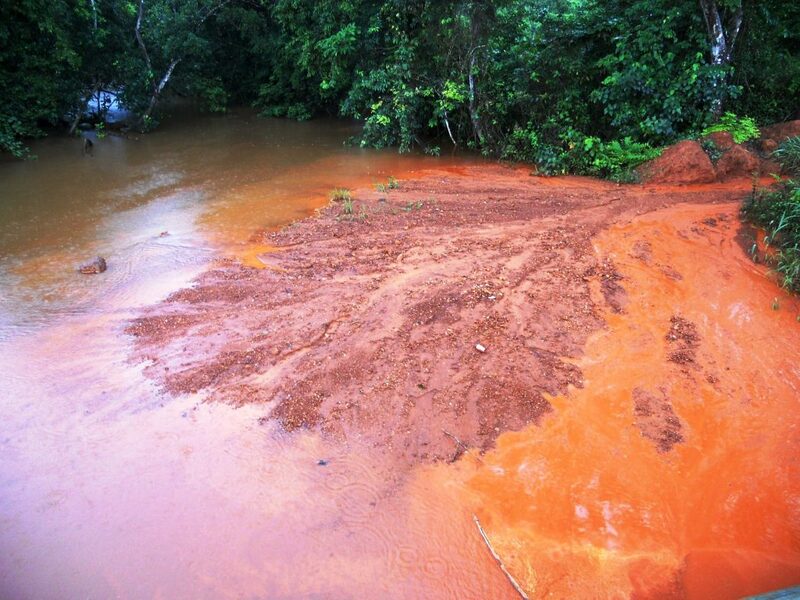 These environmental items often dictate the economics of a planned mining operation and determine its viability. This is the phase that sees the building of the mine site proper to support production, to include all the required services and facilities including accommodation for the workers; access tracks and mine roads, crushing and processing plants; and all supporting infrastructure such as external haul roads, railways, transfer stations and maybe even ports. Best practice will see that all these components are evaluated in the ESIA, however, as alluded to before this may not be feasible for all junior mining company projects. The author even has experience of a major mining project that evaluated in the ESIA a haul road and dry crushing facility, that morphed due to exploration results and investment, into a railway with extensive wet crushing plants and extensive tailings storage facilities. From an environmental and social perspective, this is the stage that is the most challenging, as it triggers the majority of issues, including construction-related E&S impacts, right through to resettlement planning and implementation. Mining operations cover all aspects from the actual day to day mining, processing and exporting of the processed mineral, through to operation of the accommodation camps for the workers, monitoring and management, and general running of the business. Blasting operations – one of the rather unique aspects of large scale mining is frequent blasting, and are based on the mine plan; where, when and what methods are to be used to develop the deposit. When necessary, selective blasting or the mixing of blasted rock from different grades of ore is carried out. Crushing operations – these often work 24/7 and start with drilling, blasting, loading and the transport of blasted rock to the primary crusher. A rigorous blasting program assures the quality and quantity of the large volumes of stone required to feed the crushing plant. Drilling rigs create holes to load the explosives, often manufactured on site in an explosives facility and stored in an explosive magazine at a safe distance. 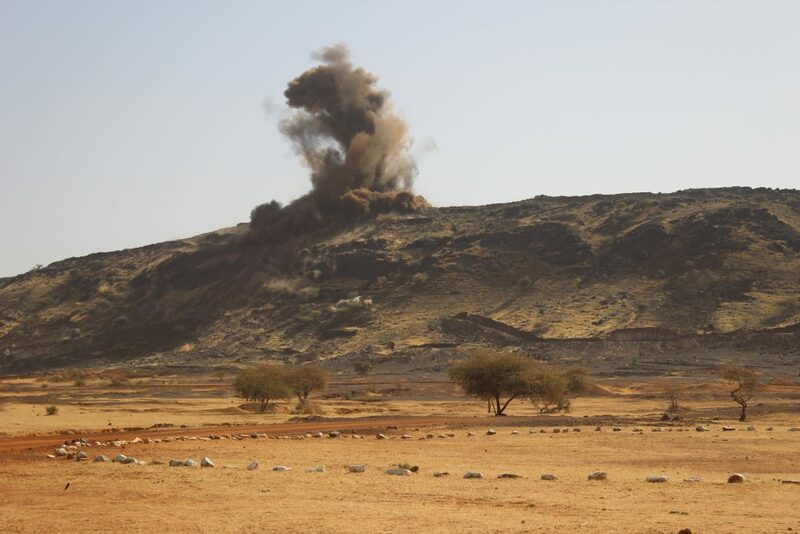 The drill pattern of the holes and the explosive charges used influence the rock fragmentation and are selected on a site-by-site basis. Once the rock has been blasted, the stone is transported from the quarry face to the primary crusher by a fleet of quarry trucks, served by one or more loaders. 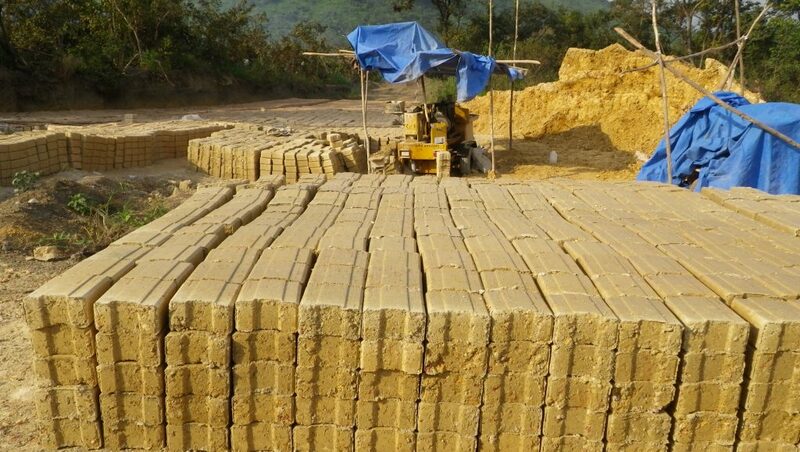 Stone not destined for the crusher is commercialized differently or used as backfill and for quarry rehabilitation. 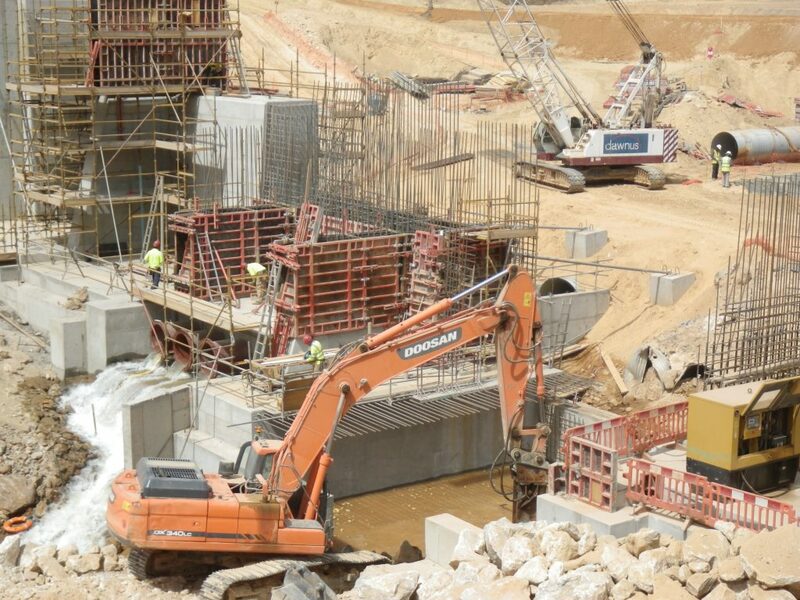 Day-to-day quarry operations – these must respond to short-term internal and external constraints, in order to ensure supply to customers. 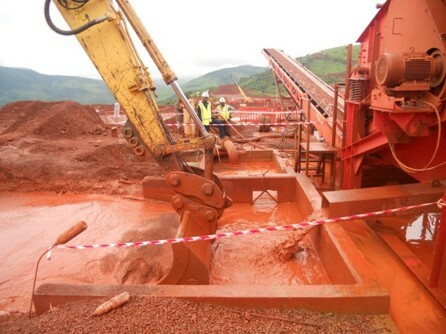 It is not uncommon for mining operations to change in response to customer requirements and/or the often fluctuating price of the ore being mined. If a mining project involves the extraction of a few hundred million metric tons of mineral ore, then the mine project will generate a similar quantity of tailings, managed via a Tailings Storage facility (TSF). 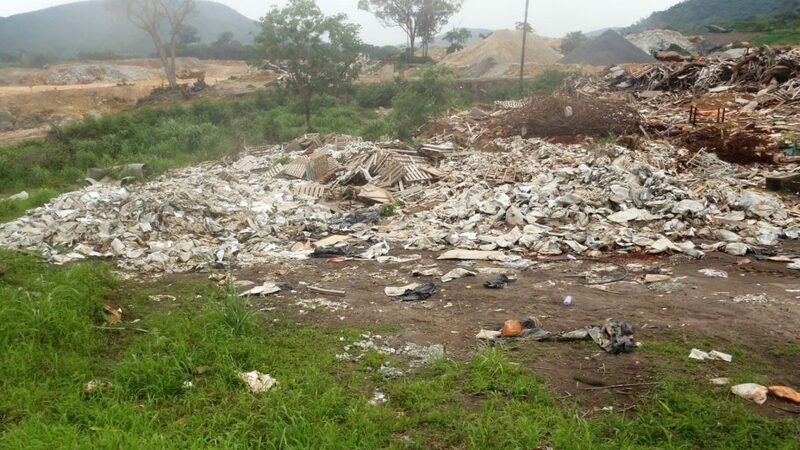 How a mining company disposes of this potentially high-volume toxic or inert waste material is one of the central questions that will determine whether a proposed mining project is environmentally acceptable. The key long-term goal of tailings disposal and management is to prevent the mobilization and release into the environment of toxic constituents of the tailings and to re-use or rehabilitate the large TSF. 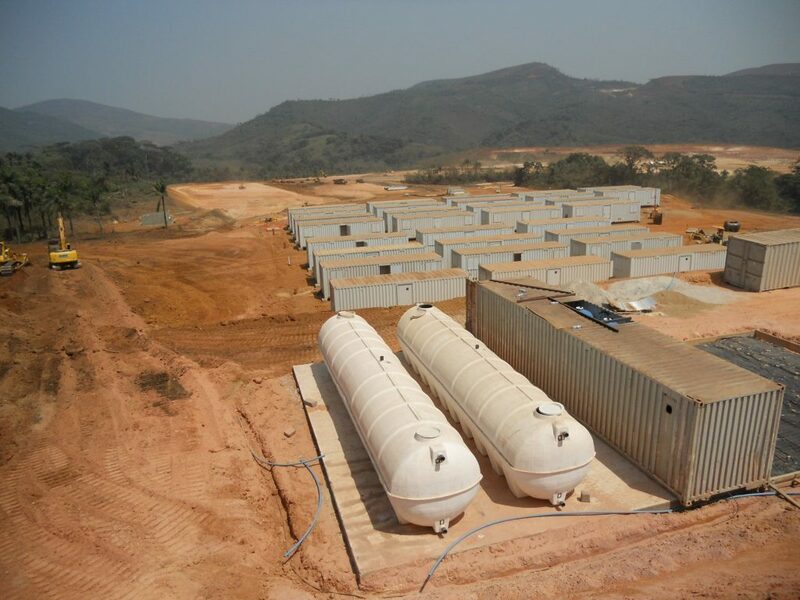 Large scale mining requires a vast array of support services, including delivery and maintenance of plant and equipment; fuel supplies; camps and accommodation; worker welfare and health and safety; waste disposal; training and development of staff; and ongoing stakeholder and community consultation and involvement. A suite of environmental monitoring and management is required for mining operations, often to also demonstrate adherence to the law and compliance to the mining license. Most mines would aim to operate in accordance with an Environmental Management Plan (EMP), ran under an Environmental and Social Management System (ESMS). 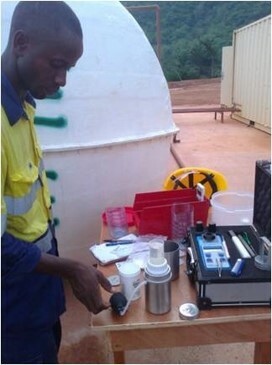 Routine activities would include the basics of air, noise, dust and water sampling and monitoring and feedback to operations to achieve compliance. Depending on the ‘maturity’ of the company, environmental staff could play a large role in waste management activities, as this is a key item for environmental compliance and one that is often poorly managed by start-up junior miners in remote locations which are not supported by waste management operations and facilities. 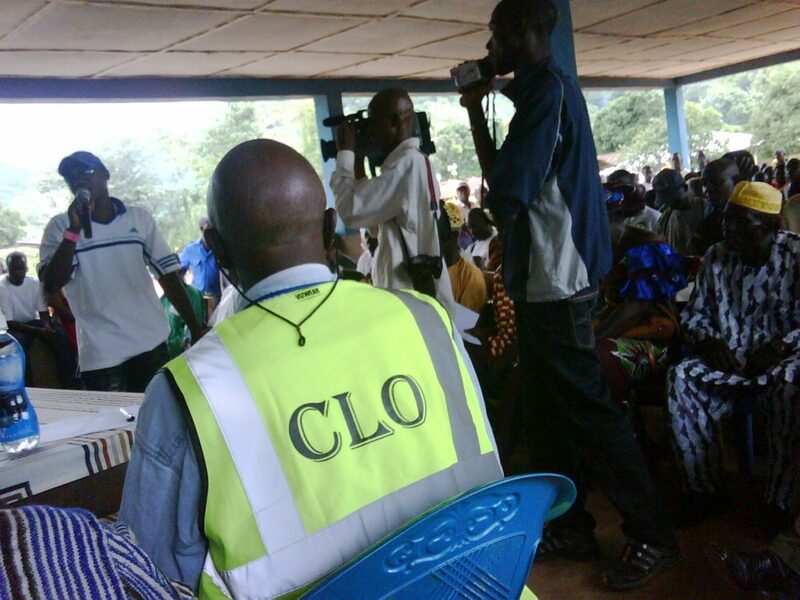 compliance to community development and sustainability. When active mining ceases, mine facilities and the site are reclaimed and closed. The goal of mine site reclamation and closure should always be to return, where feasible, the site to a condition that most resembles the pre-mining condition. Mines that are notorious for their immense impact on the environment often made impacts only during the closure phase, when active mining operations ceased. 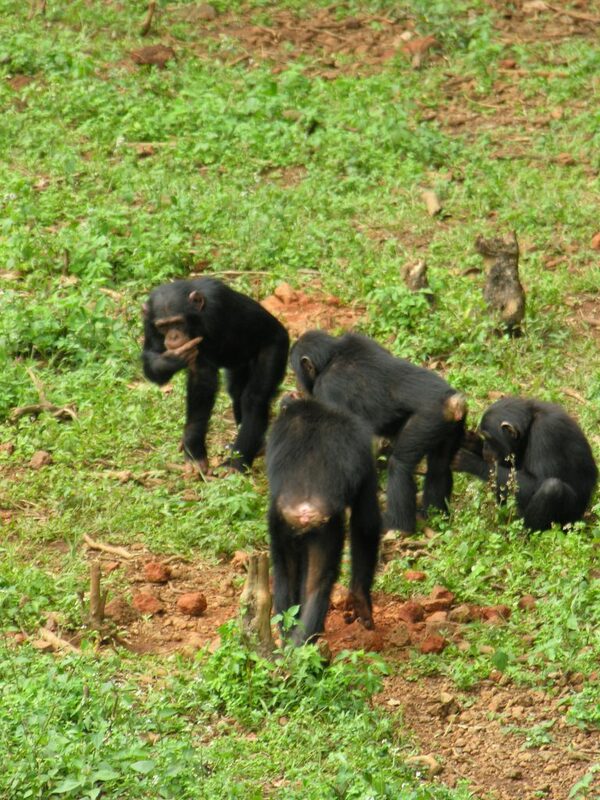 These impacts can persist for decades and even centuries. 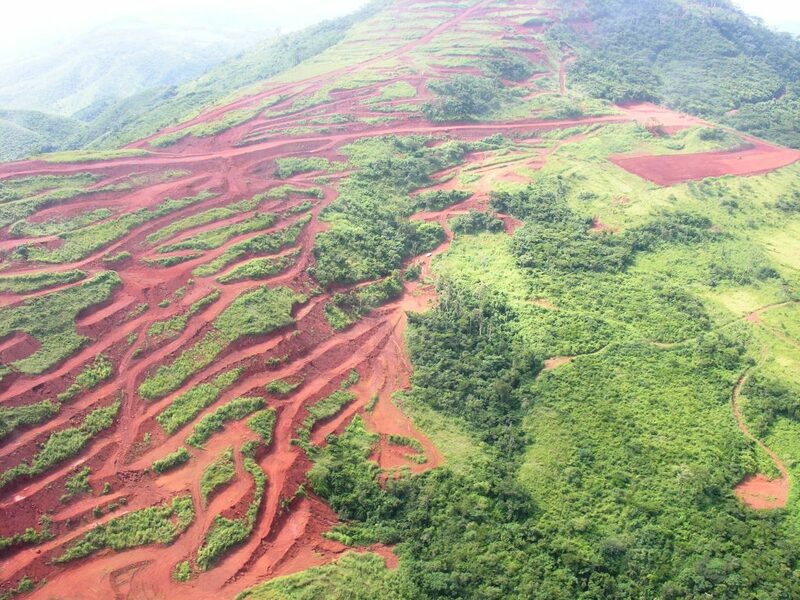 Therefore, the ESIA for every proposed mining project must include a detailed discussion of the mine Reclamation and Closure Plan offered by the mining proponent. Mine reclamation and closure plans must describe in sufficient detail how the mining company will restore the site to a condition that most resembles pre-mining environmental quality; how it will prevent – in perpetuity – the release of toxic contaminants from various mine facilities (such as abandoned open pits and tailings impoundments); and how funds will be set aside to ensure that the costs of reclamation and closure will be paid for. An important aspect here is the establishment of mine reinstatement fund or bond throughout the life of the mine, to avoid the host country or region inheriting a legacy in the event of mine closure. 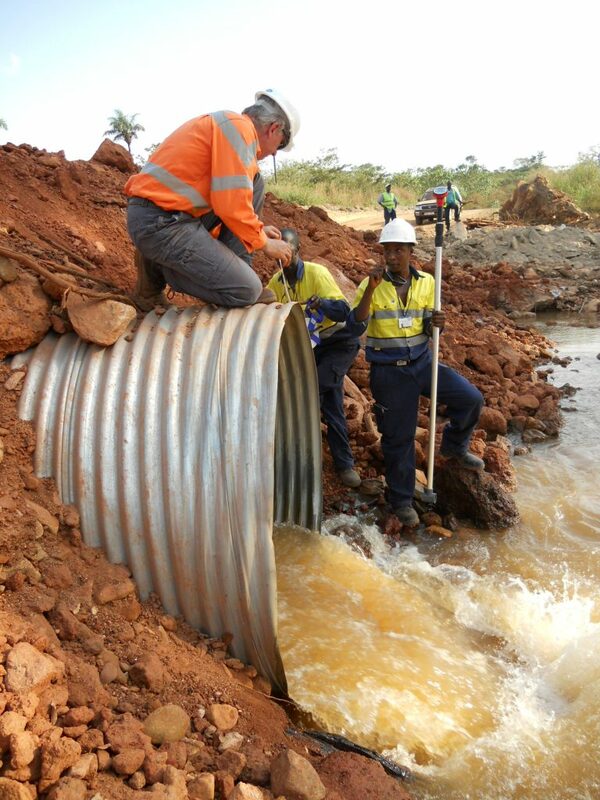 This section presents some examples of issues experienced on site along with commentary, to enable the reader to appreciate project implementation and inform scoping and assessment of impacts during ESIA and management of issues on site. In general the typical E and S effects of large scale mining projects have been well documented over the years and include such aspects as: erosion; loss of biodiversity; contamination of soil, groundwater and surface water by sediments or chemicals from mining processes; land take for mining, camps, infrastructure and tailings; community loss of amenities, housing and agricultural lands; loss of archaeology artefacts and cultural heritage; interference with transport and other community infrastructure and resources; land-use change and economic disruption, whilst and also creating opportunities for employment and the service sector and wider economic development. The following examples include aspects that arose due to various circumstances, including such things as: a lack of company policies and standards; deficient financing; weak and inexperienced or inappropriate personnel and management; insufficient planning due to rapid mine project development; poor country infrastructure, techniques and technology; environmental and mining sector weakness and a range of other drivers. As cited earlier, some start-up miners and junior miners can end up working in a rather fragmented manner, whereby the exploration phase is a separate entity or separate sub-contractor that can operate some time in advance of mainstream assessments and mine planning. As such they can ‘do their own thing’ and run their operations inadvertently in a manner that creates legacy issues in the future. Aspects can include how they deal with waste, food supplies, sanitation and community compensation, such that when the much larger scale operations come along adjustments have to be made and damage repaired. In the normal state of affairs all construction elements will have been evaluated in the ESIA and the requisite avoidance or mitigation factored into the activities. However, in start-up and junior miners this may not always be the case, as the infrastructure or the construction techniques and locations may have been amended due to a lack of information at ESIA stage. In addition, a lack of corporate policies and standards may also result in construction activities that are not in compliance to best practice or legal norms. Such situations pose distinct challenges to the environmental staff of the company or its contractors and a strong site presence and the support of senior management is crucial to avoid adverse consequences. 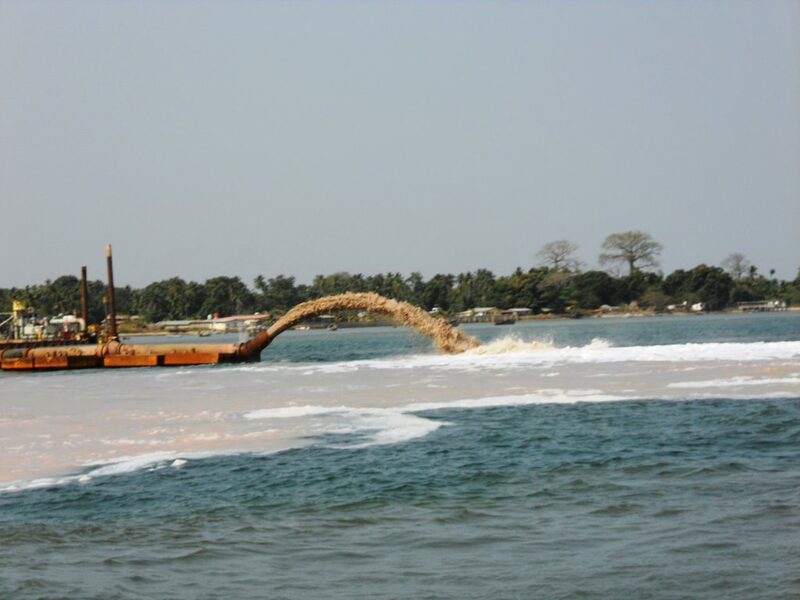 Examples of poor performance include creating water pollution through run-off; pollution caused by non-compliant oil and fuel handling; damage to community lands and infrastructure; bad waste management and ecological damage. Achieving sound environmental and social performance during operations is a function of effective, inclusive planning, assessment and management, combined with good experienced site staff and positive leadership by senior management. In start-up operations there can be shortcomings in several key aspects, as staff are brought into the business based often on previous work experience, sometimes predominantly in their home country and it takes time to blend and bind a team to be an effective management force that understands E&S performance standards. A great many other factors influence successful, compliant operations, including remote site working, where essential infrastructure and services can be absent, putting additional stress onto the operations. A local workforce with very little or no work experience creates considerable difficulty for an operator, who has to provide training on both ‘tools’ and HSE. Even normally mundane tasks of servicing vehicles can be a challenge if everything from the workshop to the tools, tyres and spares has to be brought into the country. 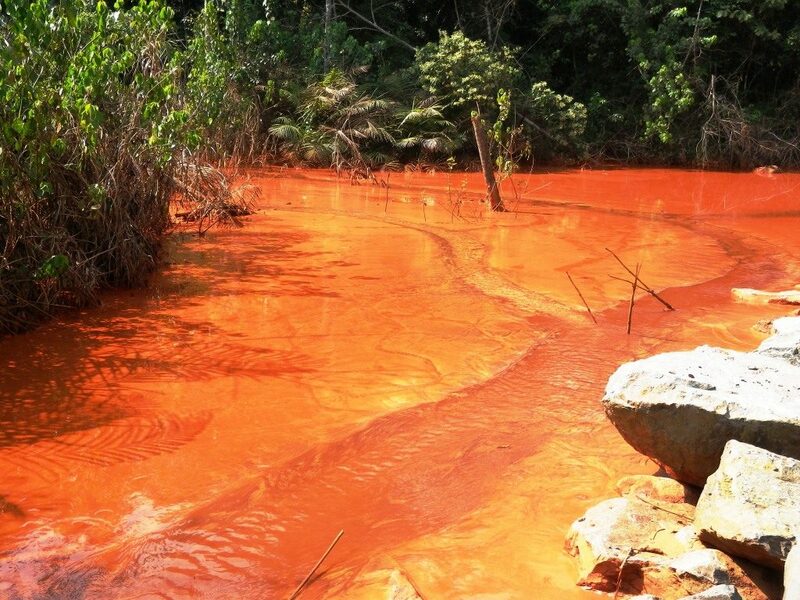 Corruption and theft also play their part; the author has even come across locals entering a mine site and emptying steel drums of waste oil to steal the metal drum, causing pollution. The interface with mining and environmental regulators in economically-developing countries also creates challenge, as they can be inexperienced in regulating such large scale developments. The author has first-hand experience of these aspects as he was a Trainer for the World Bank, providing training to Environmental regulators from over 20 African regulators in 2014, where he specialised in ‘environmental regulation in the extractive industry in Africa’. 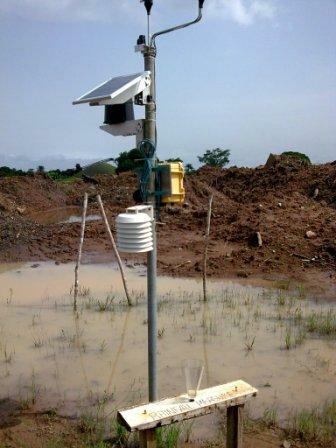 Climatic conditions can also affect performance and sometimes only site experience at the mine itself can inform site practices; one can review and factor in rainfall data, but only after one has experienced an African rainy season does one know how the groundworks stand up to the rainfall events. Water is a finite, shared resource, with high social, cultural, environmental and economic value. It is a basic human right and fundamental ecosystem requirement. 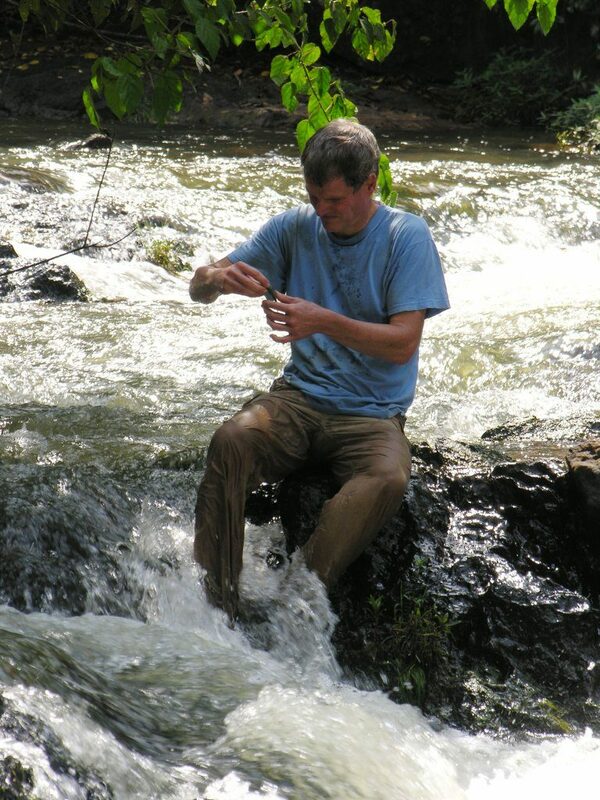 Water is also an essential component of virtually all mining and metals operations. In addition, global water resources are under increasing pressure and it is widely recognised that a holistic approach to water management is required to achieve resource sustainability and secure future access for all water users and stakeholders. 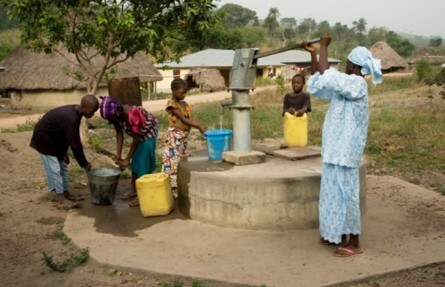 water availability per se, for example in sub-Saharan Africa, dry regions or seasonally; where scarce water resources are required for mineral processing, dust suppression, washing of plant and equipment and even for camp facilities, including drinking water, ablutions and laundry. Water demand conflict due to mine design, whereby aquifers or rivers are damaged or diverted, causing impacts to the ecosystem, agriculture, fisheries or nearby communities. Water used for processing such as washing to create tailings has an impact due to changing the hydrological cycle or patters. 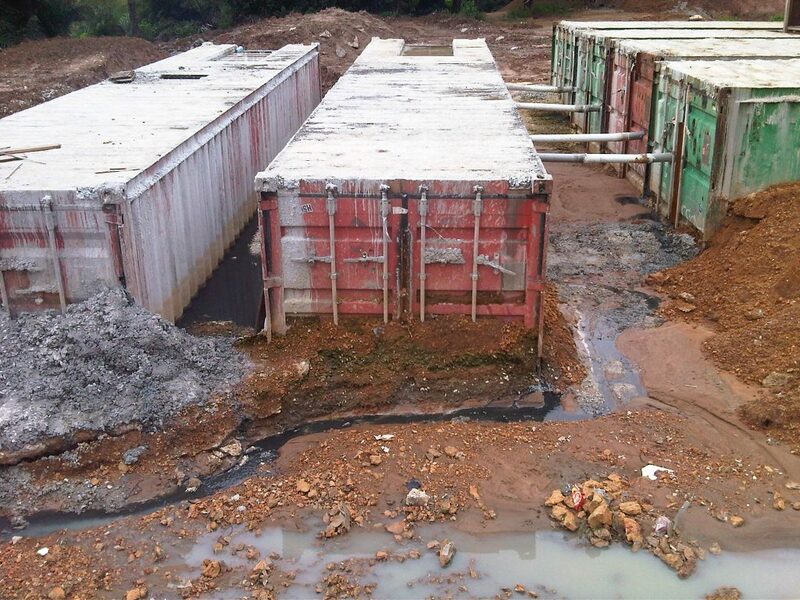 Potential pollution caused by run-off from construction sites, disturbed ground, the active mine workings and from sediment or chemical pollution discharged deliberately or through accident to the wider environment. 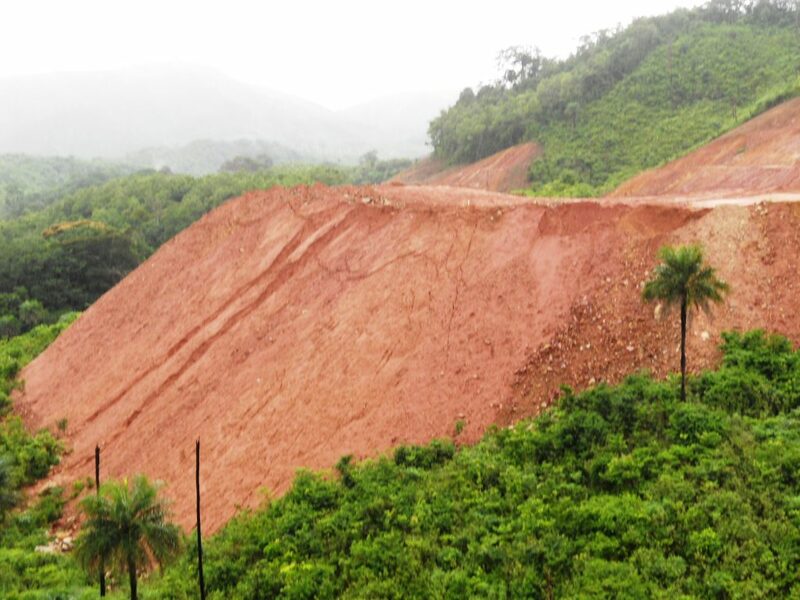 Inadequate mine design and mine management from aspects such as rapid mine development, weak planning and forecasting. 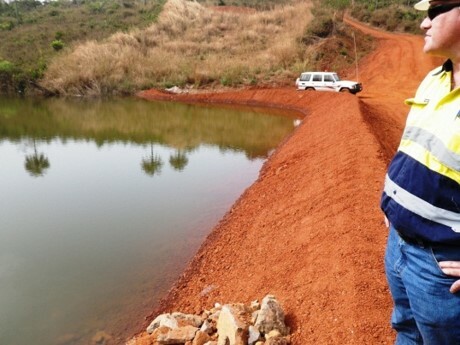 Many environmental staff on large scale mining operations spend a large amount of their time managing water issues, from basic water resource assessments, to monitoring discharges, TSF and site run-off. 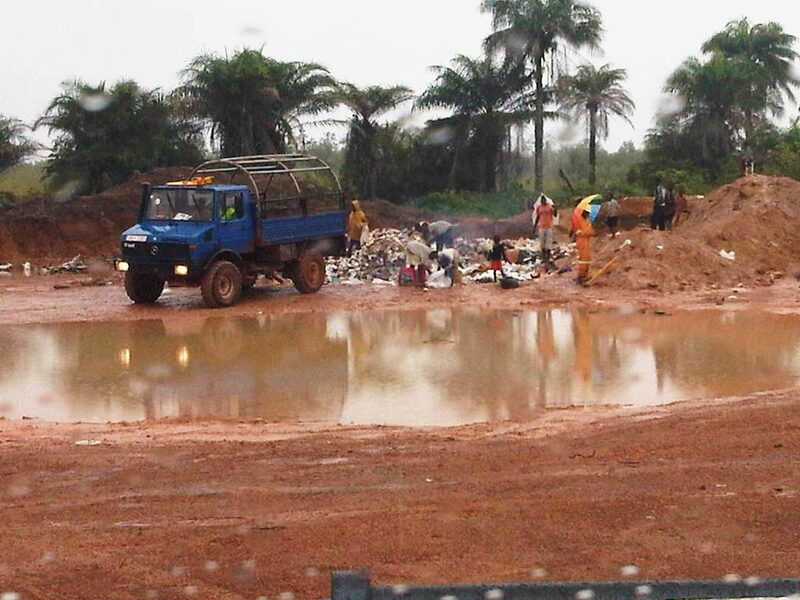 This aspect can often present real challenges in start-up miners operating in remote locations in countries with little or no waste management infrastructure, since waste streams cannot simply be contracted out for final disposal, particularly special or hazardous waste such as waste oil and chemicals. Furthermore, opportunities for waste recycling and recovery can be extremely difficult, making any compliance to corporate standards unachievable. In such situations the company often has to design, construct and operate a full waste management system, including recycling, re-use, long term storage and final disposal for the waste it generates. This can necessitate building comprehensive management and disposal facilities, involving considerable staff and cost, particularly when all such specialist equipment is required to be brought into country, such as incinerators, oil separators, crushers and bailers, landfill liners and specialist containment equipment. 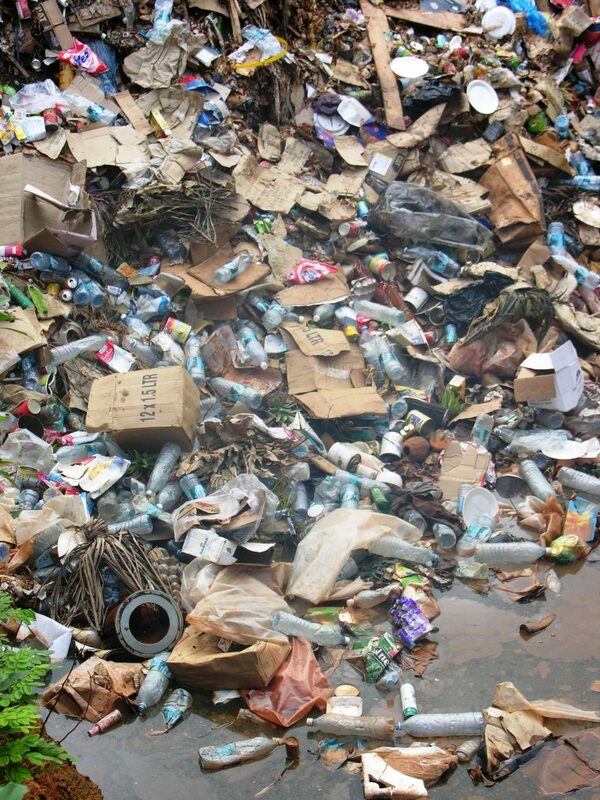 An examples of a waste stream that can cause particular problem is waste oil from vehicle and plant servicing, especially if the country has no oil-recycling facilities. 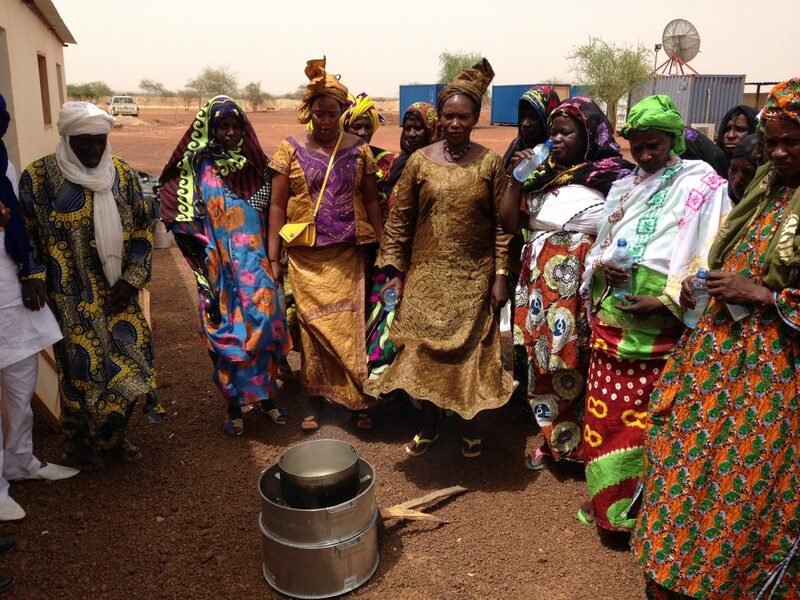 The author has experienced the accumulation of hundreds of thousands of litres of used oil in a remote site in West Africa, as there were no such facilities; the country was not a signatory to the Basel Convention meaning that it could not be exported to compliant countries; and the incineration of it would have been unfeasible given the huge volumes and resultant issues. Waste oil is in a similar category as scrap metal, in that it can be perceived to have a value, especially if there are less scrupulous elements operating in and around the business. 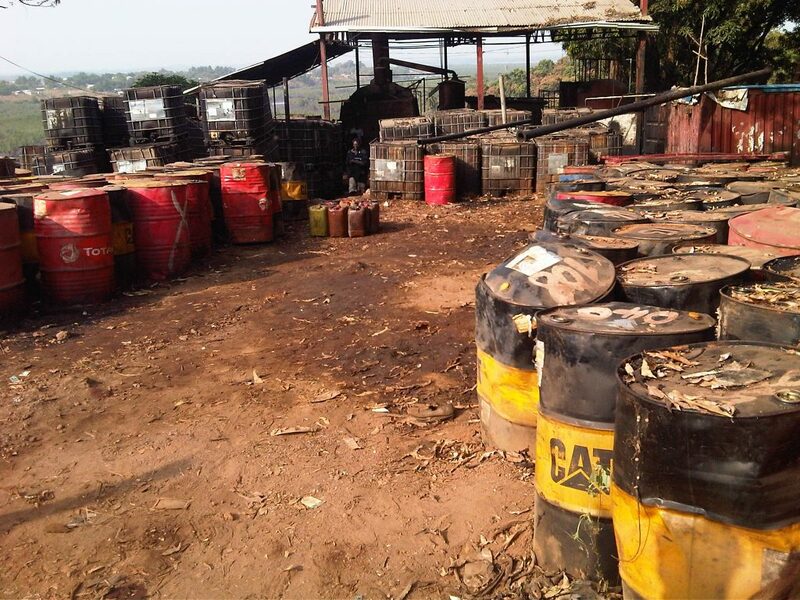 In West Africa for example waste oil can be put to several uses, such as re-sale to old dilapidated trucking operations, or use in lubrication or even cut with diesel and used in diesel engines. in the West it is often recycled by re-refining in specialist facilities, manufacturing various products such as lubricating oils and other hydrocarbon derivatives. 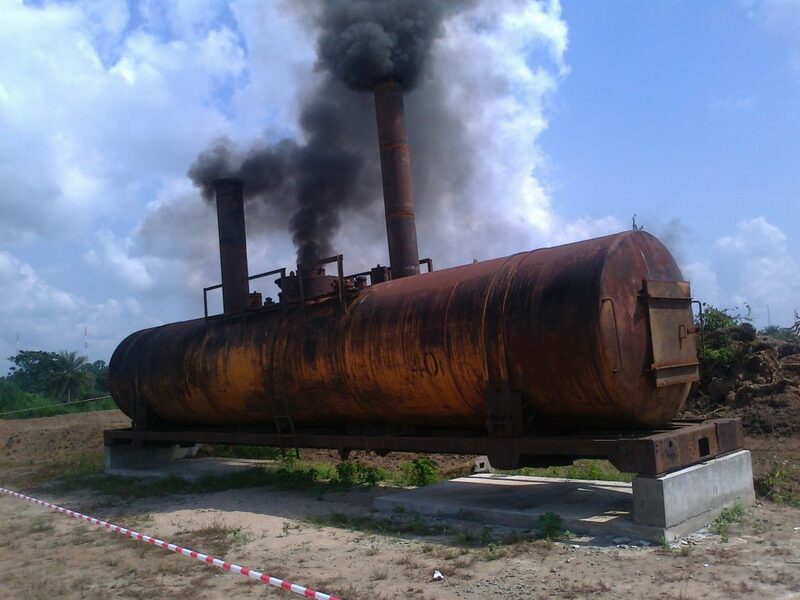 Scattered around parts of West Africa there are crude refining operations, often operating ‘below the environmental regulators radar’, which process waste oil. 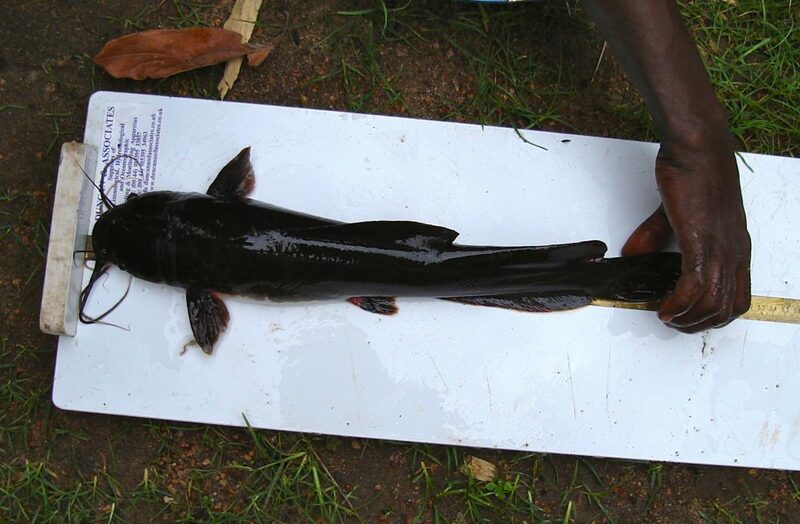 however, they seldom work to accepted environmental standards and can be a significant source of hydrocarbon pollution. The photographs below shows one such plant visited by the author. 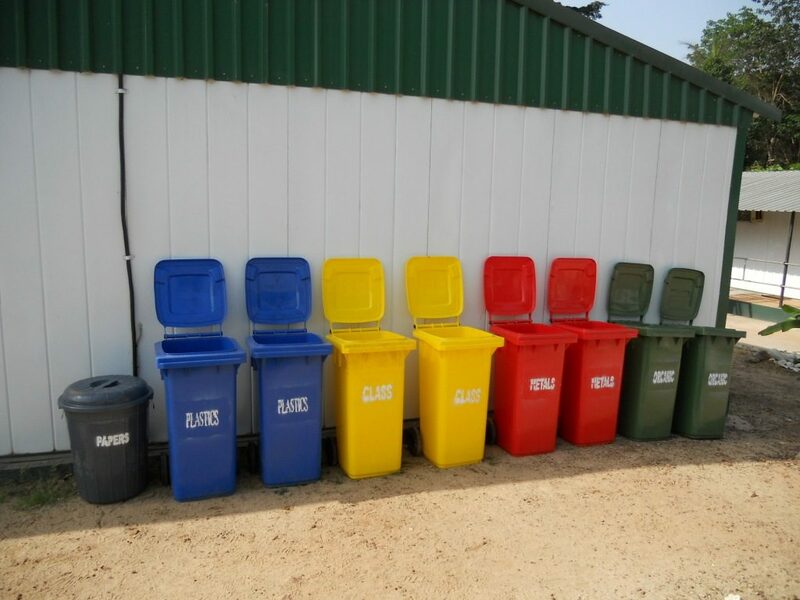 The compliant management of several waste streams can be a distinct challenge for environmental staff operating in remote sites and comprehensive support needs to be given by senior management. Unfortunately, the provision of waste management facilities and equipment often comes a very poor second to the construction of mine facilities and infrastructure, when a junior miner is under pressure to get into production. 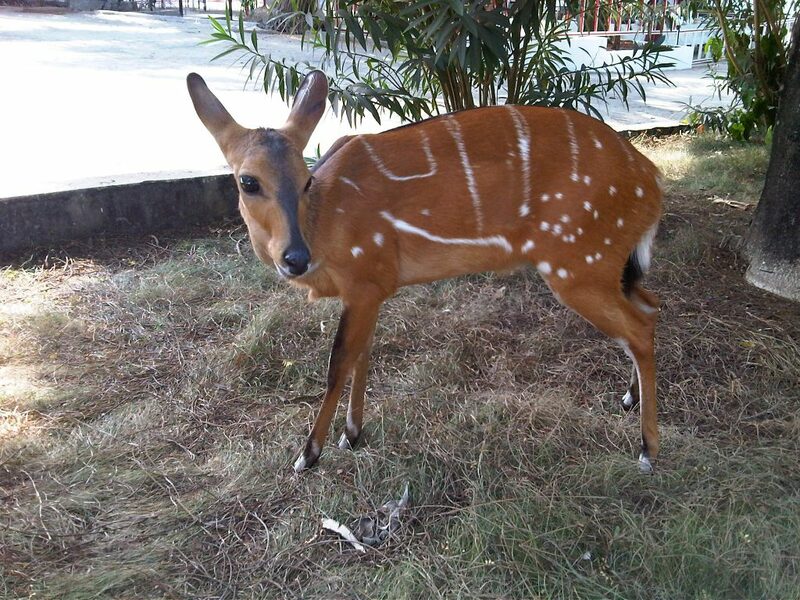 Resolving such issues can require considerable effort, persuasion and tact by environmental staff. Tailings (or slurry) is the collected waste materials produced after the extraction of minerals and metals from mined ore. It’s a substance that consists largely of powdered rock, clay and water. From the crushing and washing plant, the tailings is often pumped to surface tailings storage facilities (TSF) which are commonly constructed using earth dams. These range in size from tens of metres to areas covering hundreds of hectares. As the particulate residue of tailings gradually drains and becomes compact and dry, grass and other vegetation can be planted to stabilise the environment. This reclamation process should be evaluated and taken into account as part of reinstatement and final mine closure, as vast areas can be created and consideration needs to be given to the final objective, such as a return to agriculture, forestry or other landscape feature. Community and regulator consultation is required for these aspects. Before the water in the tailings can be used again, or discharged into the local drainage system, it may be necessary for it to be treated to remove harmful substances that would pollute the environment or risk the health and safety of local communities near the facility. Or if it involves only a simple washing plant with no chemical additives or toxic flocculants it should be settled to remove particulates, before discharge. 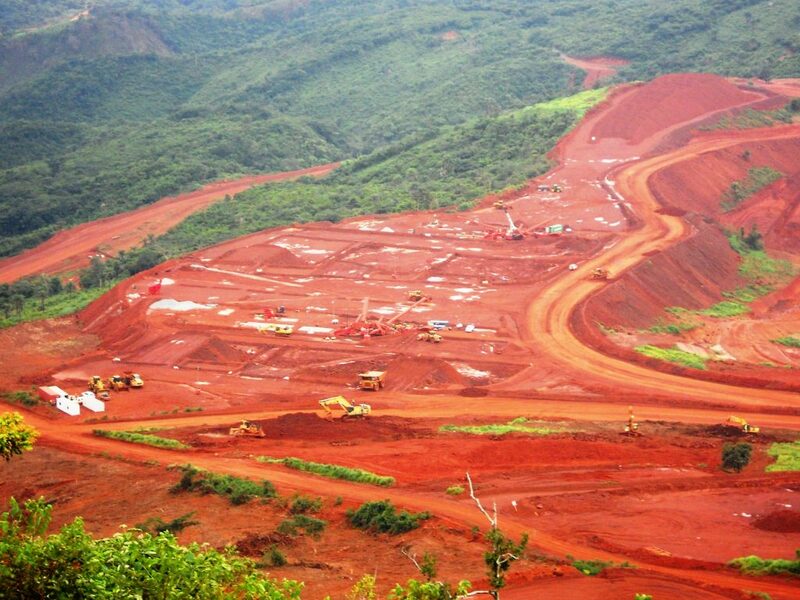 The design of TSF is critical and it is essential to take into consideration the climatic conditions at the mine site, for example extensive facilities in tropical climates need to factor in the actual rainfall across the TSF, which will add a significant loading to the quantity of water. Other more technical issues surround the actual efficiency of flocculation and settlement of the solids in suspension after they have left the washing mill. Many TSF use chemical flocculants to promote sedimentation and these can often be trialled during plant commissioning to gauge which one is optimum. The author has been involved in sites where trialling of flocculants took place before the optimum arrangement was arrived at, which saw river pollution from highly polluted discharges to rivers, due to poor TSF planning and management. 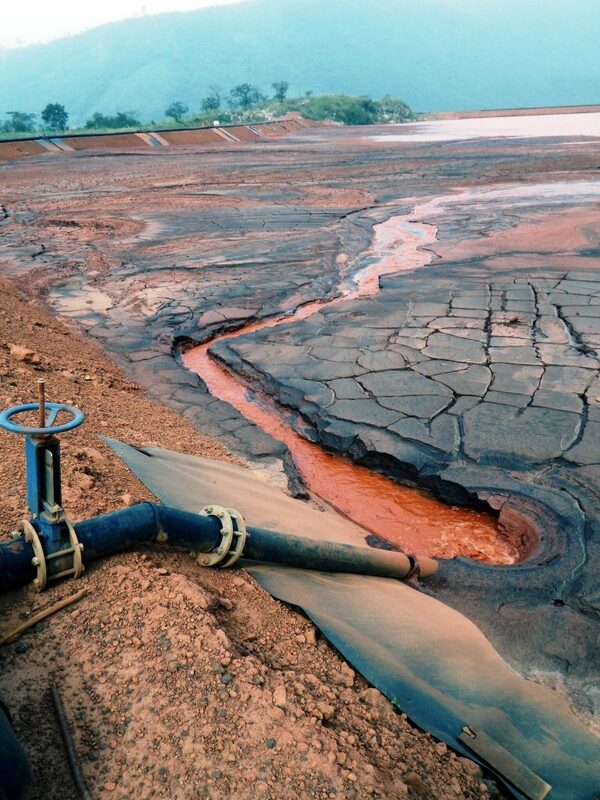 If not managed properly, tailings can have a damaging impact on the environment and human health and safety, with pollution from effluent and dust emissions being potentially toxic to humans, animals or plants. This harm is multiplied many times over should a tailings storage facility physically fail. Flooding from tailings materials can greatly damage the surrounding environment and even lead to loss of human life. 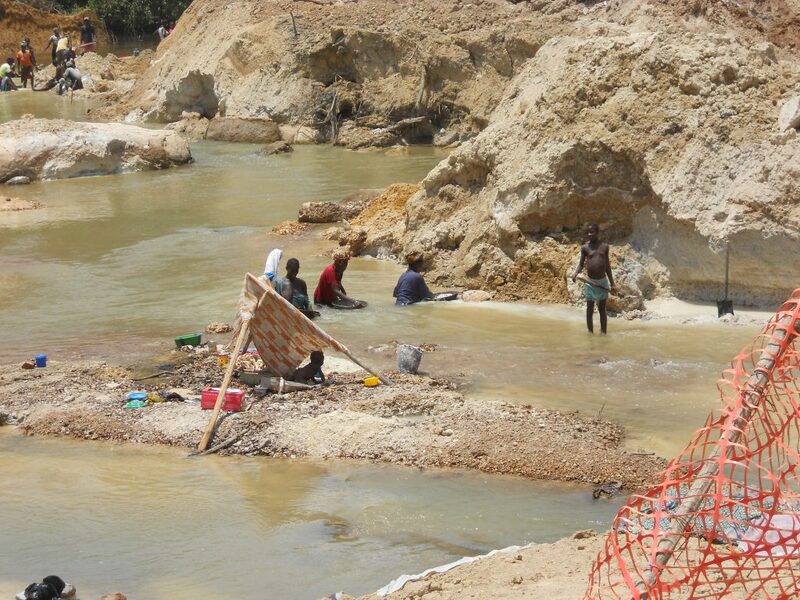 Whilst the issues associated with TSF are complex, in general terms higher potential effects are related to contaminated tailings, such as those generated in the gold industry, involving toxic chemicals such as cyanide or mercury. It goes without saying that the partial or complete collapse of any TSF can have devastating consequences for downstream users and there are numerous examples of such failures, even in recent times, eg. 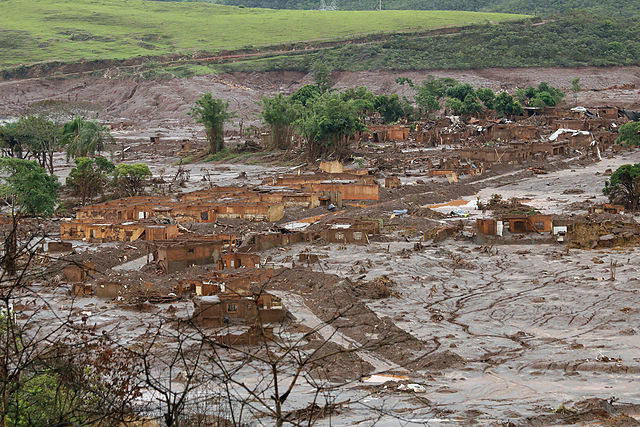 The Bento Rodrigues dam disaster on 5 November 2015, when an iron ore tailings dam in Bento Rodrigues Brazil collapsed and an estimated 60 million cubic meters of iron waste flowed into the Doce River. activities. In short, there are many aspects that if not managed well and preferably in strict accordance with accepted practice, can lead to significant problems for the project and the company involved. Again, this brief section is not intended to provide anything like comprehensive guidance, but hopes to give an insight into the issues and touches on Community Management, Resettlement and Corporate Social Responsibility (CSR). In recent years the term Social License to Operate has developed to encompass what could be described as all the social and community aspects and interfaces that ultimately result in the view of the community towards the project and the company’s operations. 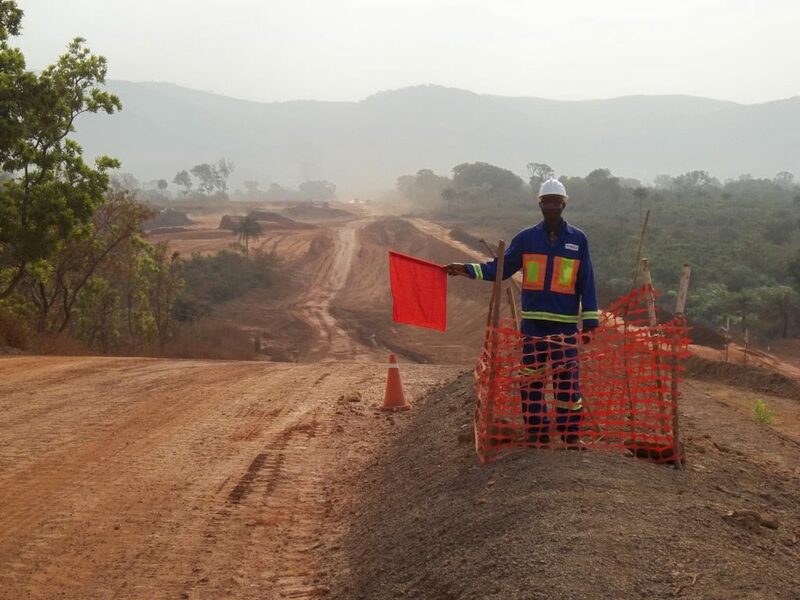 In practice it can be easy to create ‘bad feeling’ towards the mine site and ongoing, dedicated efforts are required by all company staff and it is particularly important that senior management up to the CEO and beyond are acutely aware of the sometimes delicate balance of community relationships. 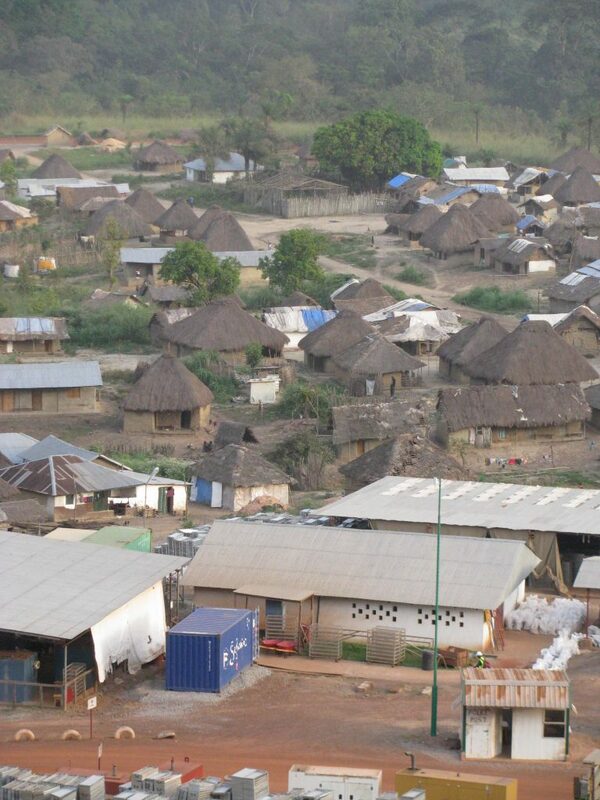 Focusing on junior and start-up miners in remote African operations; community expectations can be a problematic area, as project supporters such as local or national government can inadvertently create huge expectations for communities, as part of gaining political support for the mining project. The author has several experiences of employment expectations of up to 25,000 for mining projects, which is totally unrealistic, but such figures were given by politicians as part of galvanising support for the project. 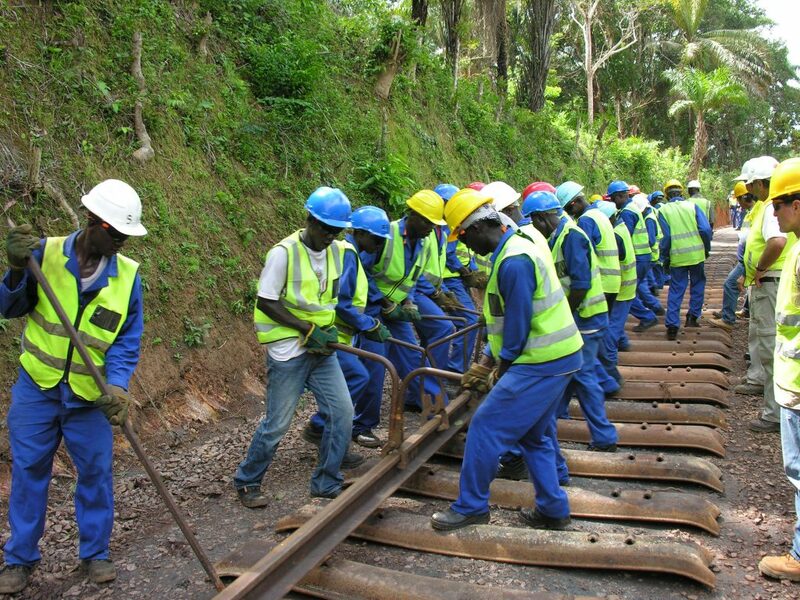 The E&S staff therefore commence their work ‘already on the back foot’. Going back a few years, one could realistically deal with one set of communities at a time and develop interfaces and programmes to meet the needs as they developed. However, in these days of internet technology and social media, it is not uncommon for one community to contact another ‘down the line’ (eg road or rail infrastructure or large mining concession) and inform them of the agreed programmes. This can escalate as one progresses, leading to ever increasing demands by communities, creating the need for a consistent approach. A driving factor in mining is that mining companies cannot freely choose the site of a project, as it is dictated by the geological deposit. 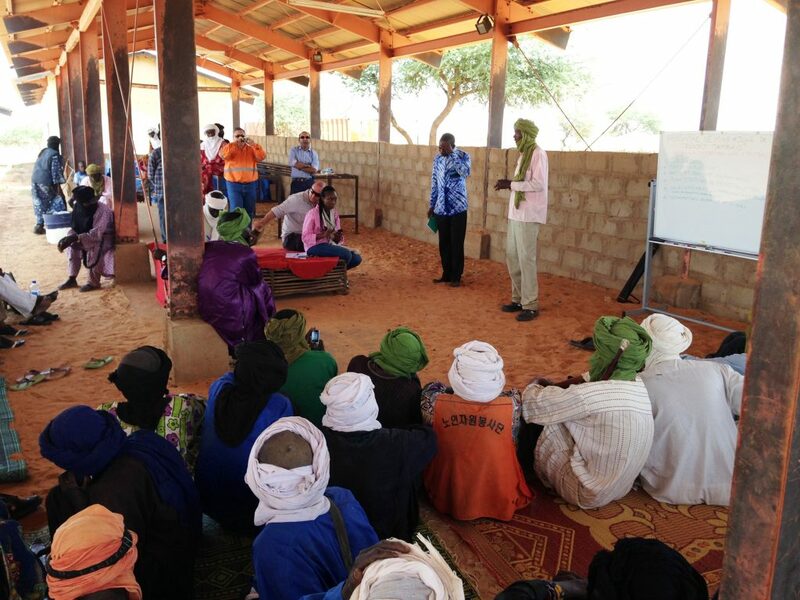 When a mine needs to be established close to an existing community, it can unfortunately necessitate the relocation of people. This should only be done with the explicit approval of national or local government, but it nonetheless presents significant risks to those affected and the company involved. Touching back to the issues in the exploration phase; resettlement aspects can inadvertently be exacerbated in scale, technical issues and financial compensation during exploration. A perhaps typical scenario is that the remote resource has been know about for some time (eg iron ore, manganese deposits are typically hills due to their geological characteristics, and sometimes associated with gold deposits), such that there is often a community nearby. 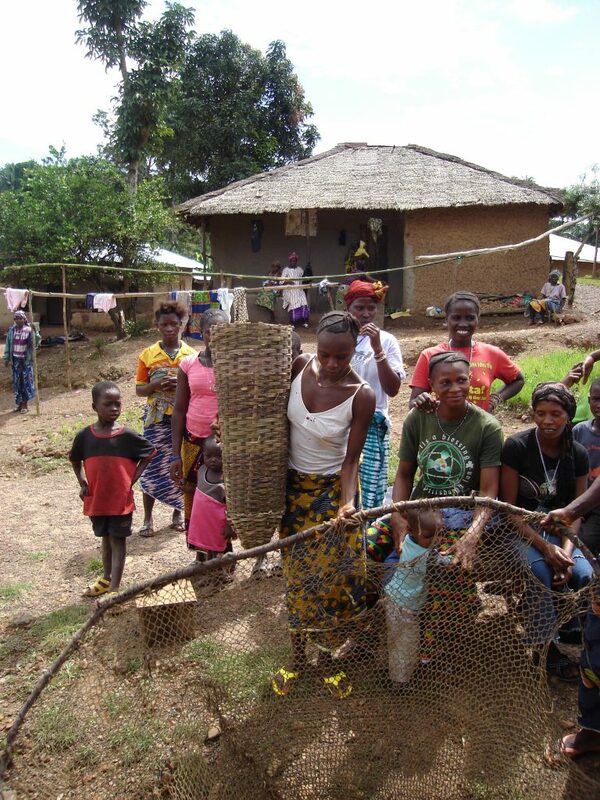 During exploration in remote locations, the site staff often employ locals to carry water, tools, and to assist site operations, as well as food preparation and accommodation. This does in many situations results in an influx to the site of people seeking employment, thus increasing the size of the community. If not controlled very well, this can lead to increased burden during resettlement planning and implementation. The starting point for companies is to either avoid or minimise the need to resettle people, however in many situations resettlement is required for the mining project to proceed. 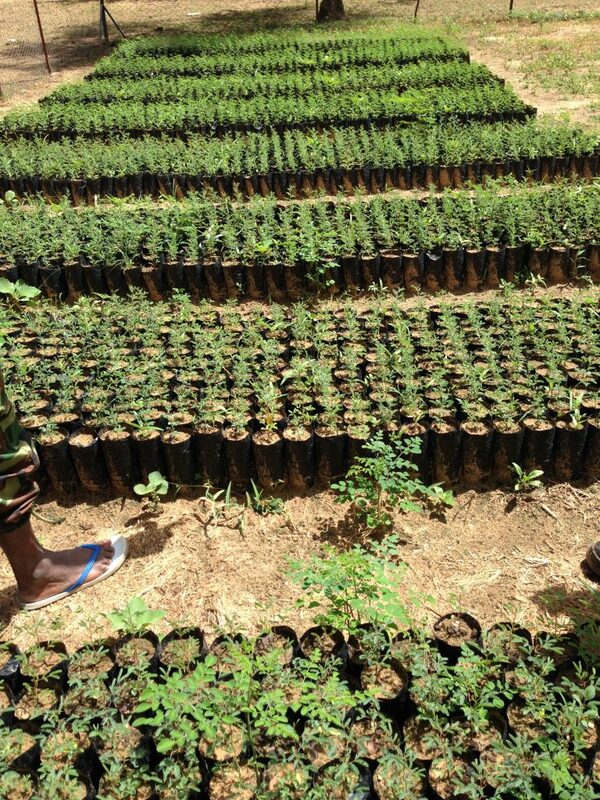 If so, resettlement planning should start early, with companies meaningfully engaging with project affected communities (PAC) and people (PAP) to assess and mitigate potential impacts. An outcome that requires companies to invest enough human and financial resources to ensure the process is sensitively managed. 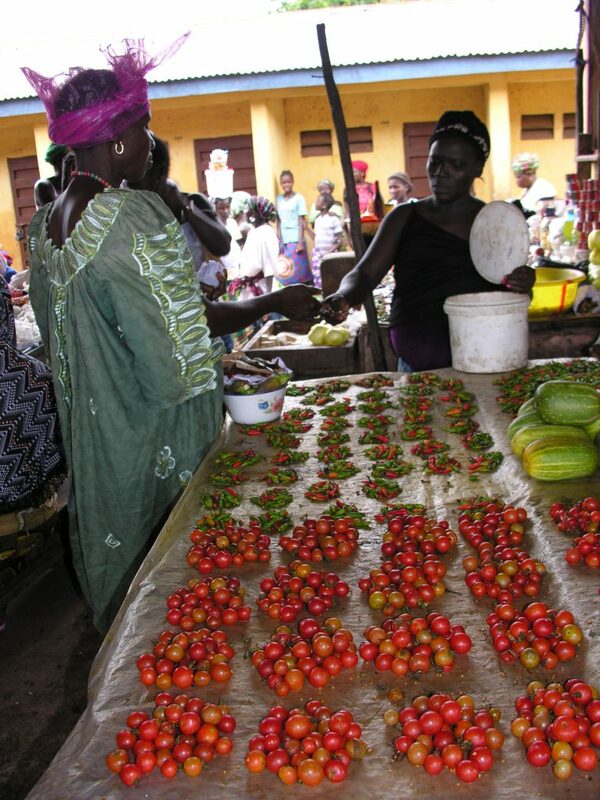 When companies manage resettlement activities well, they can make a positive contribution to development. 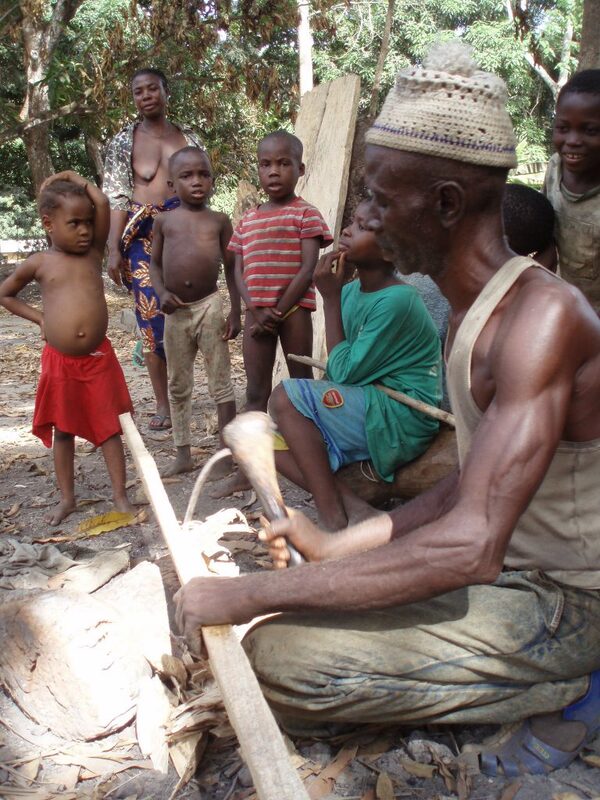 Equally, when resettlement activities are poorly managed communities can face a decline in their quality of life. While companies will likely face disruption as a result of local conflict, possible legal action and loss of reputation (which may also significantly damage their social licence to operate). The suite of aspects that require addressing can be seemingly endless, but it is vitally important to cover all the bases, even including aspects such as the type, material and configuration of replacement housing. It can also be a delicate balance; for example the author has witnessed communities requesting concrete housing (as an indicator of relative wealth) in the Sahel, rather than other materials (eg strengthened adobe block), which would be much cooler. One often has to be prepared to factor in embedded beliefs, traditions and other cultural norms and practices. 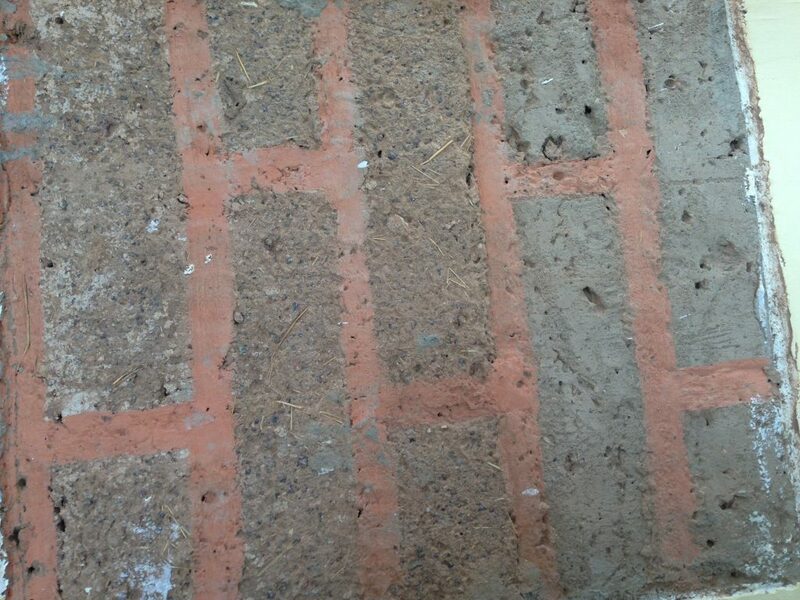 Housing trials using reinforced natural materials for heat insulation. CSR aspects in a mining project can be very challenging: CSR refers to voluntary actions undertaken by mining companies to either improve the living conditions (economic, social, environmental) of local communities or to reduce the negative impacts of mining projects. By definition, voluntary actions are those that go beyond legal obligations, contracts, and licence agreements. CSR programs usually invest in infrastructure (potable water, electricity, schools, roads, hospitals, hospital equipment, drainage repairs, etc. ), building social capital (providing high-school and university education, providing information on HIV prevention, workshops on gender issues, information on family planning, improving hygiene, etc. 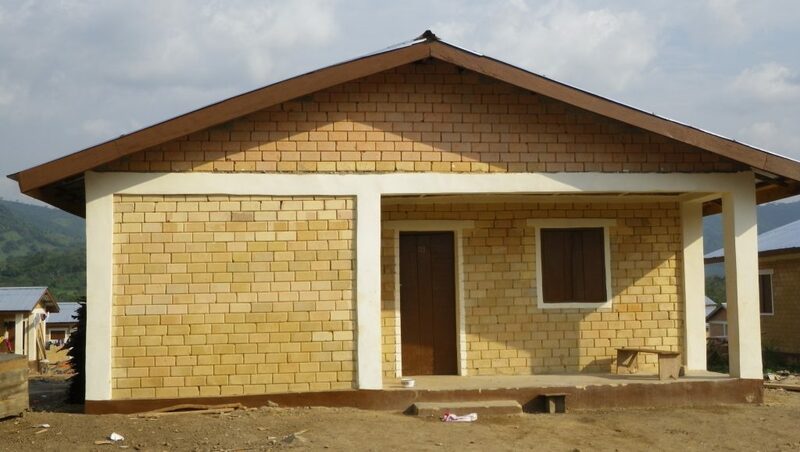 ), and building human capital (training local people to be employed by the mining enterprise or to provide outsourced services, promote and provide skills on microbusiness, aquaculture, crop cultivation, animal rearing, textile production, etc.). It is safe to assume that huge amounts of money has been invested by mining companies across Africa in the desire to be socially responsible. However, the key to that is networking (government, NGOs etc) to develop and input to what is actually the best proposition for development. There are empty schools all over mine site communities; however the reasons may be more complex, such as no money for teachers; no money for books; cultural factors that see children herding livestock, farming or fishing. Therefore it is often better to contribute to ongoing development initiatives, rather than simply building new facilities, that may be very under-utilised. In very poor communities, the mining company also has to be aware that it should not become a replacement for the education, health or water Ministry. It is challenging to outline a set of clear components that are common to all Corporate Social Responsibility programs. Each CSR program needs to be designed and continuously evaluated according to the needs of the community affected by a mining project. 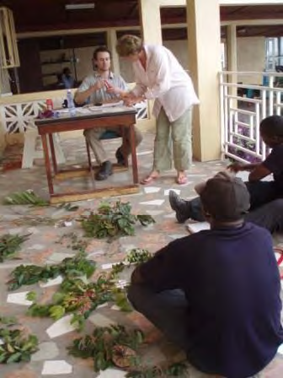 Creating a successful CSR project is therefore usually a process of trial and error. However, most CSR projects focus and incorporate three mains areas: the environment, social, and economic factors. The Global Reporting Initiative (GRI) for CSR reporting by the extractive sector to enhance transparency and encourage market-based rewards for good CSR performance. 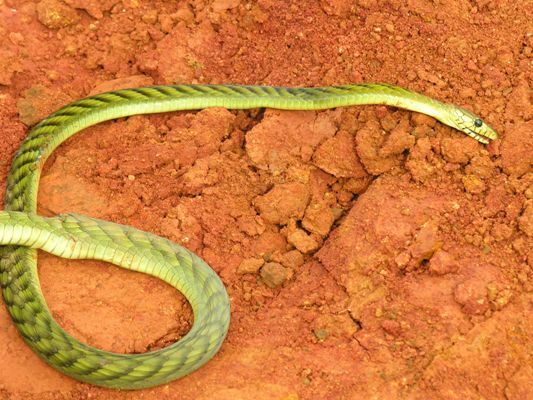 This is perhaps an unusual aspect to be presented, however junior and start-up mining companies often lack comprehensive corporate policies and standards and an appropriate complement of staff compared to long established mining companies. Hence, the mining staff can have a large influence on the performance that is achievable by the E&S staff, if for example they are placed within an HSE department, often headed by a Safety specialist, sometimes with very little understanding of E&S. In other circumstances, project managers can be brought in that similarly have little appreciation for E&S matters and can hamper the progress accordingly. Over time these issues are usually resolved as corporate policies and standards are developed, but the early days can be difficult. Often what happens is senior management bring in or recommend colleagues that they previously worked with in similar projects. However, this can sometimes result in inappropriate and inexperienced staff joining the project, as mining in Africa (or other developing countries) brings its own set of challenges and circumstances and this requires previous or similar experience. I have observed many mistakes and poor judgement from senior managers or site staff brought from Australia for example, who know the technical aspects of the mining process but have little understanding of the context of working in Africa. 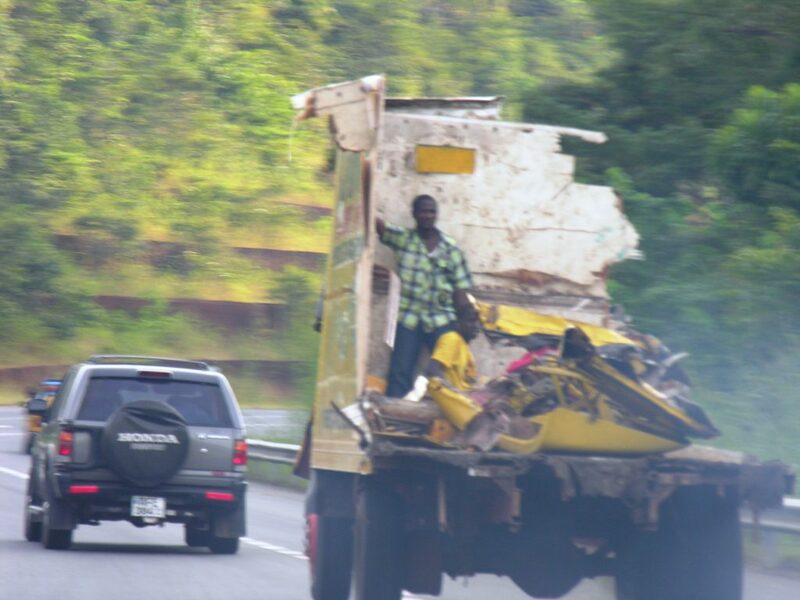 Amongst the many aspects that are challenging are the lack of infrastructure in engineering, transport and waste management, such that a remote junior miner may have to develop a comprehensive suite of waste management services and infrastructure, as little or nothing exists in the locality or even the country. Environmental and Social specialists operating in the sector and in developing countries will have a full working knowledge of aspects such as community development, employment management and resettlement planning, which involves a well-tried approach and methodology. Company personnel ‘jetted in’ from counties like Australia, with no previous experience in the region or working environment, can be a particular challenge to the implementation of Best Practice in these areas. Examples experienced include a senior manager brought in to manage a mining project (with no rail component), who was a rail engineer with no mining project management experience. 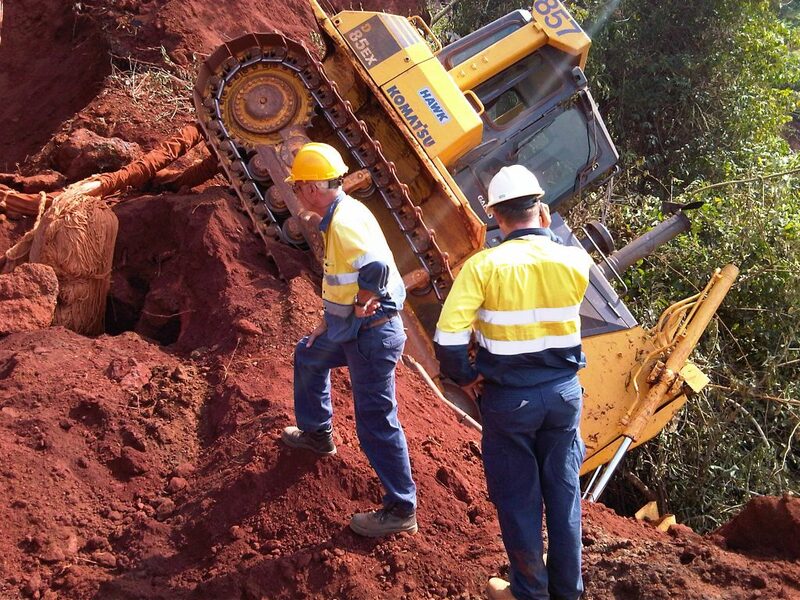 This situation was compounded when he brought a previous colleague, who had never worked outside Australia and had only ever worked on rail track maintenance; who he made project manager; needless to say the results were disastrous. Thus it is very important for junior mining companies to utilise staff with the right blend of technical competence and regional or similar experience that allows them to appreciate and adapt to the working context.